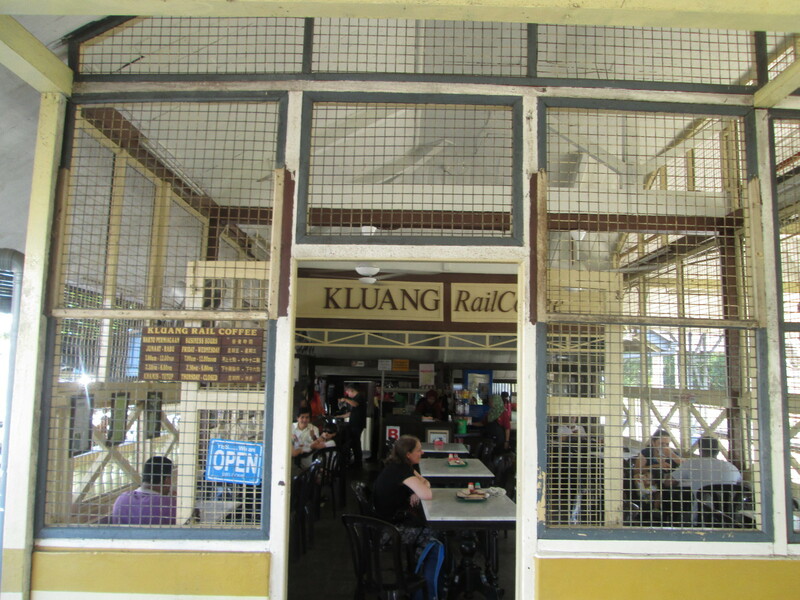 A lot of travel guidebooks tell you it’s worth stopping at Kluang railway station for a coffee, but they don’t tend to go into the history of this place, which goes back almost 80 years. 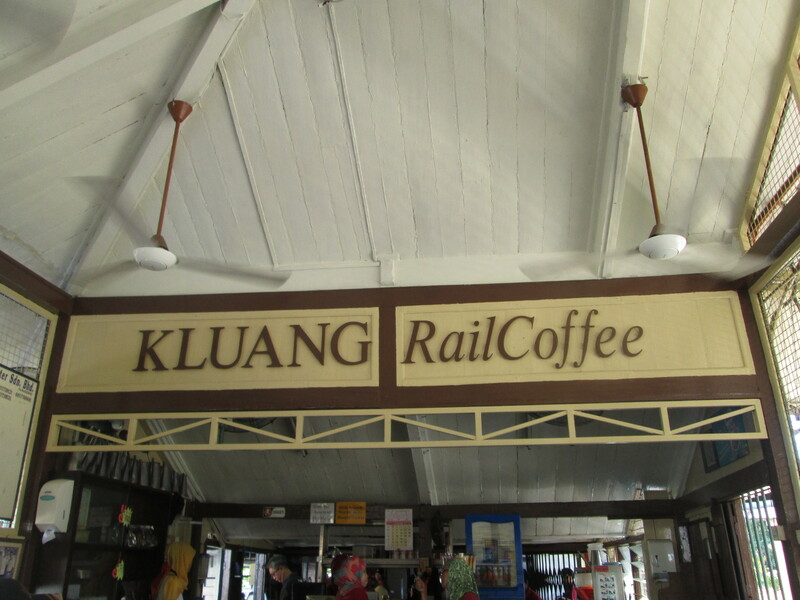 We got lucky with a coffee connection made in Kuala Lumpur when we met local lad Ony, who insisted we stop off on our way south towards Johor because he knows the owners of the Station cafe. 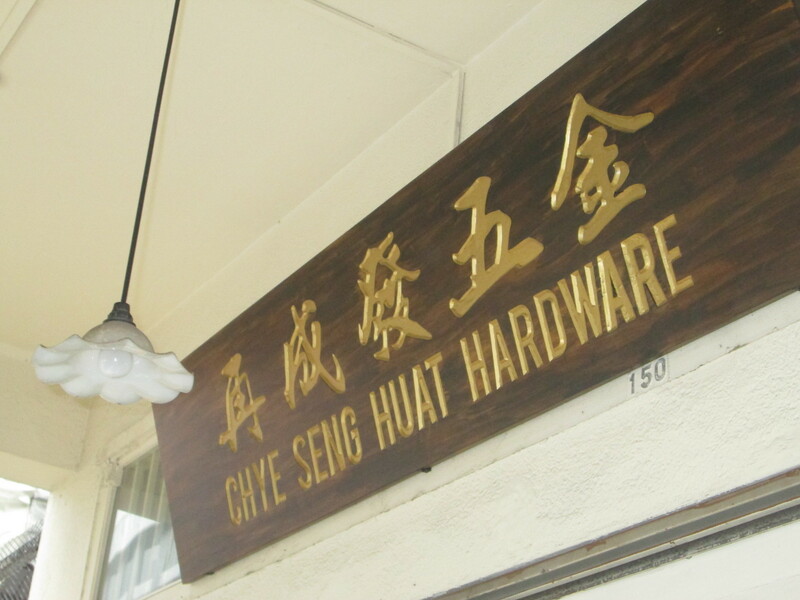 This meant we not only got to try the coffee experience in Kluang, but were also shown around by Chiang Lim Jit, one of the family members whose grandfather set up the station café all those years ago. 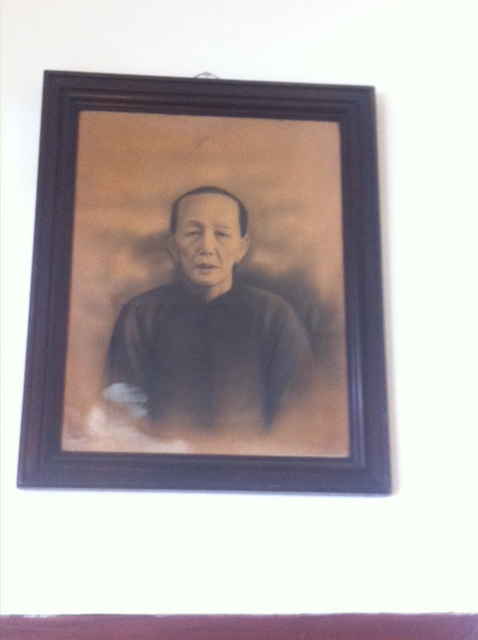 It’s a fantastic story, involving immigrant workers from Hainan in China, who came to Malaysia mainly to work for the Brits, whose army camp was nearby. The Hainanese had great culinary skills, and part of that involved making the coffee. 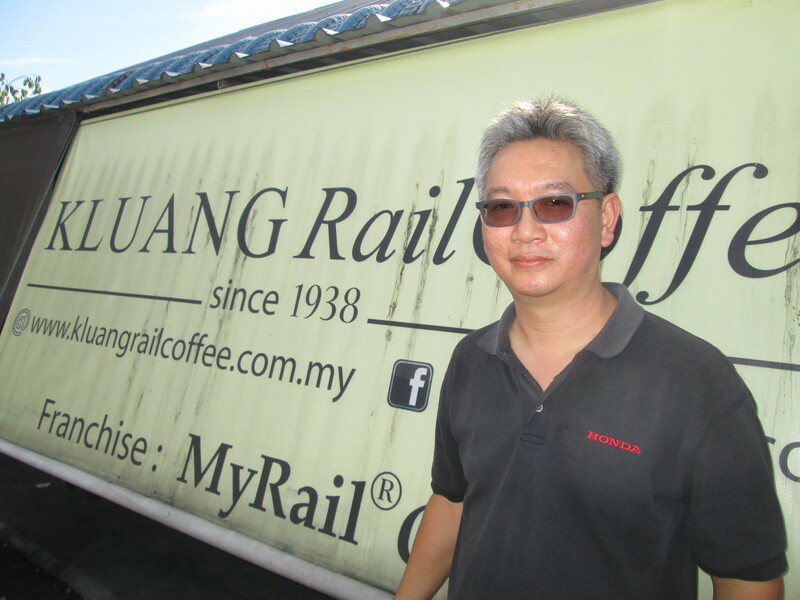 The coffee they use here used to be grown just two stations up the line, but is now sourced a little further away nearer to Johor. It’s still a quality Liberica bean, though. This is no ‘third wave’ artisan coffee shop in the modern western sense of the word, however. And we didn’t really get to see exactly how the coffee is prepared: the staff were so in awe of Chiang’s techniques when he turned up, that he was hidden from view as the waiters all huddled around him to watch. We could see it involved pouring the coffee from a great height, though, or was it just the water being poured over the coffee beans or powder? 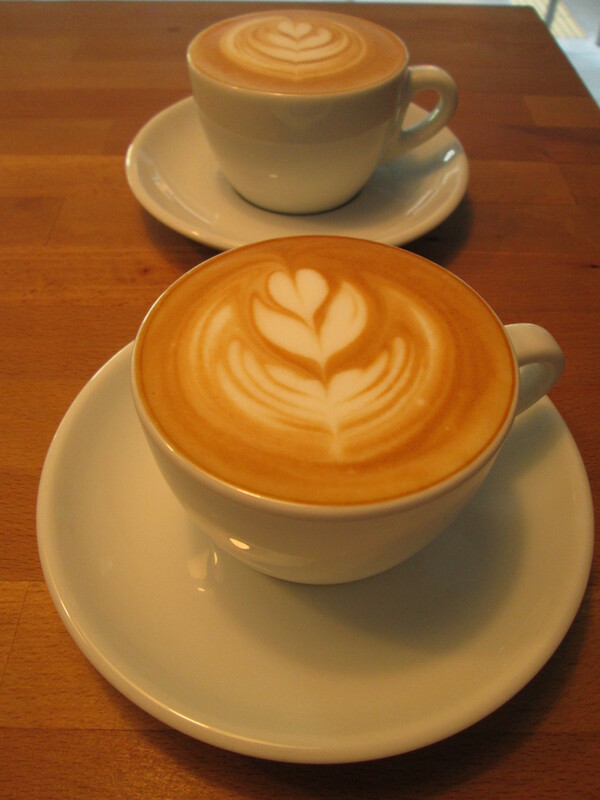 In any case, the result is what is known as a traditional coffee (as opposed to your espresso or more modern ‘pourover’) and you have the option of black, with sweetened milk or with evaporated milk. It’s a strong, rich coffee, and it’s very very popular round these parts. 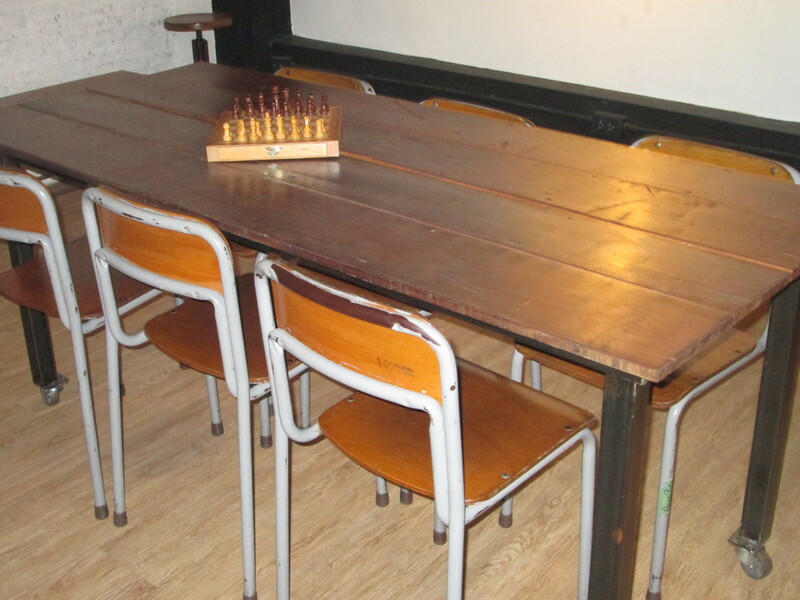 The café was full shortly after it reopened for the afternoon at 2.30pm (yes, they close for lunch! 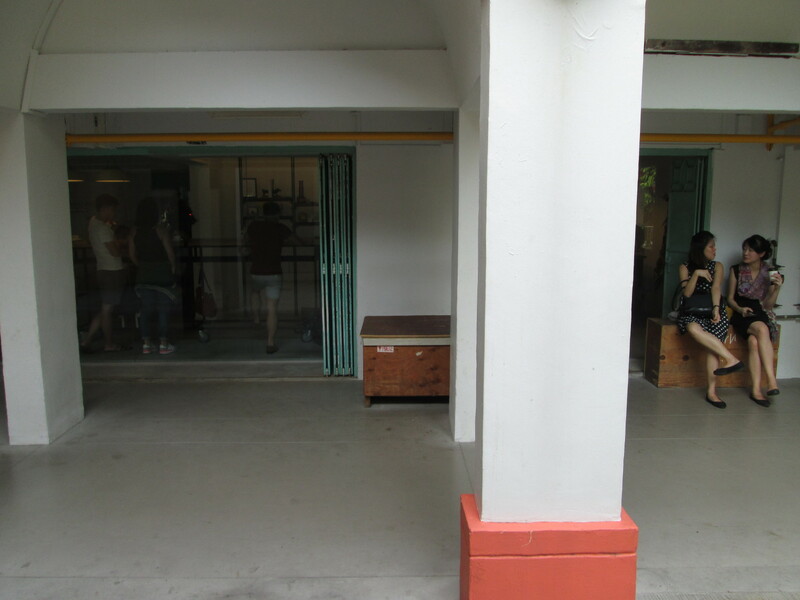 ), and we were told its regulars include Singapore border officials who think it’s worth hopping on the train up for a cuppa, and the Sultan of Johor, who has been known to arrive driving his own private train to get here. 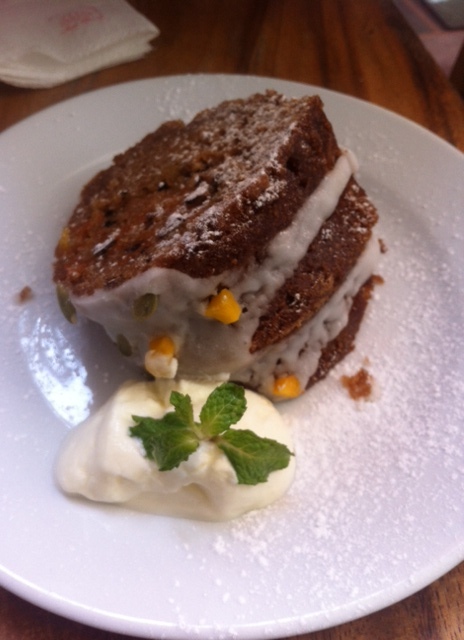 It’s also hard to know what exactly goes in the rather tasty toasty things they serve up to have with your coffee. There’s a secret family recipe to their kaya, which comes on toast or steamed, but is basically roasted sugar and butter – it is delicious! There’s talk of developing the railway through here, making it a fast track across Asia and pulling down the railway station building. 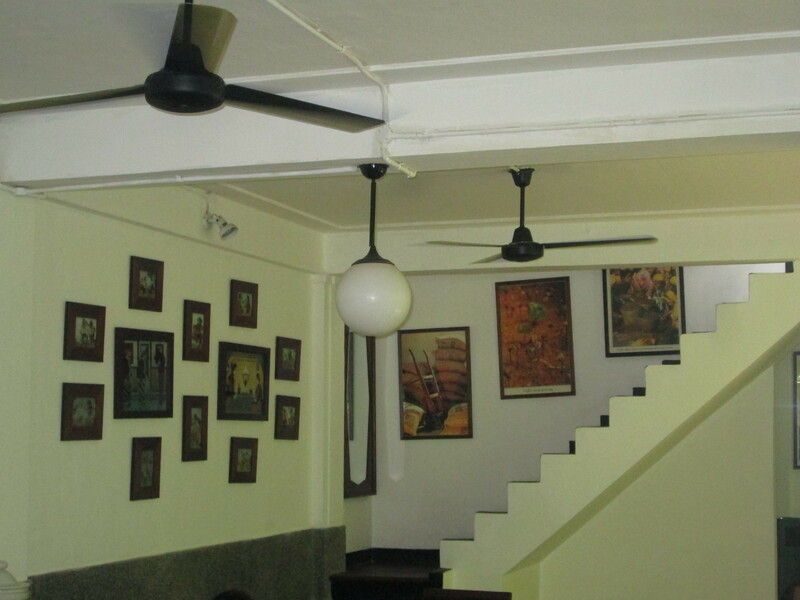 The family have opened up other coffee shops round Kluang, but we think the original place is a fantastic piece of history they surely have to preserve: the kitchen is still in the same position it was 78 years ago, as is most of the seating area; the only major change since 1938 is that the owners no longer sleep on-site waiting for the first train to pull through in the mornings. 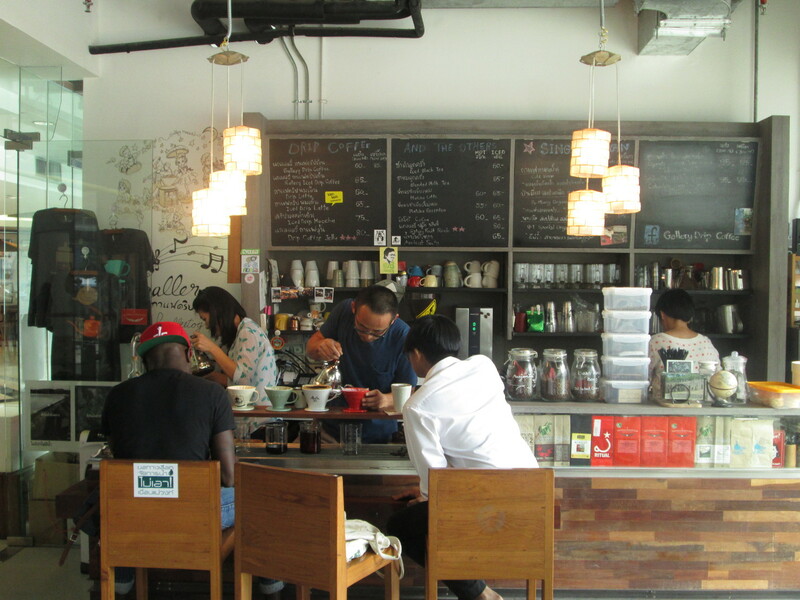 We found a fantastic coffee shop in Johor Bahru. My Liberica has a good story of its own, too. 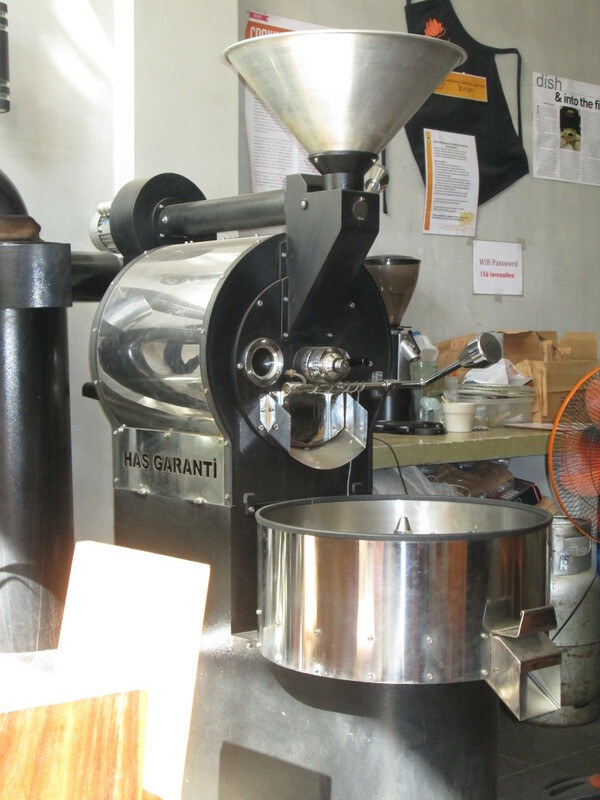 It’s run by four brothers, who each have a different role in the business, one focusing on the coffee plantation where they grow their own Liberica beans, one leading on the roasting side of things, one doing the marketing, and the fourth keeping an overall eye on the business. The great part of this story was that to start up their coffee business the brothers had to persuade their father to swap part of his palm plantation over to coffee, and if you’ve been to Malaysia you’ll know how hard that must have been, with hectare after hectare of land now covered with palm oil trees as far as the eye can see. 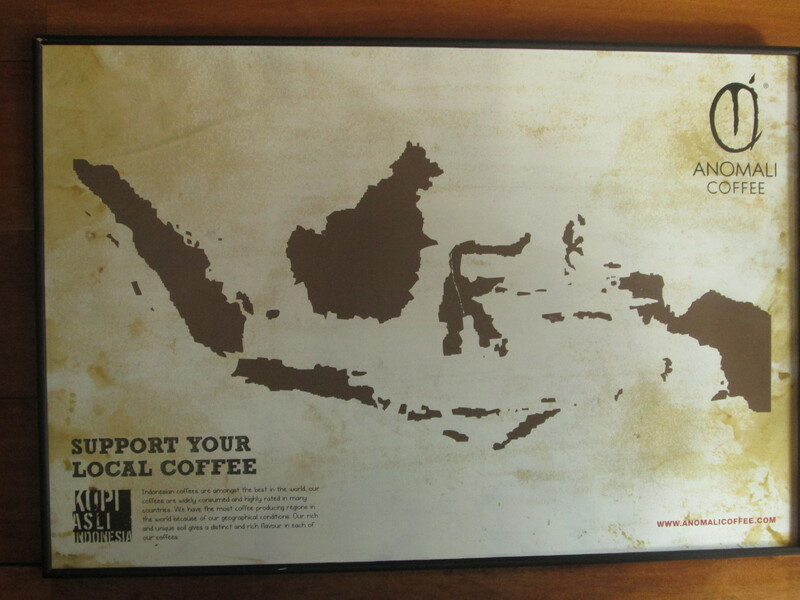 It’s especially exciting because the liberica bean represents a mere 2% of total worldwide coffee production, and it’s certainly not a bean I’d come across before hitting south east Asia. 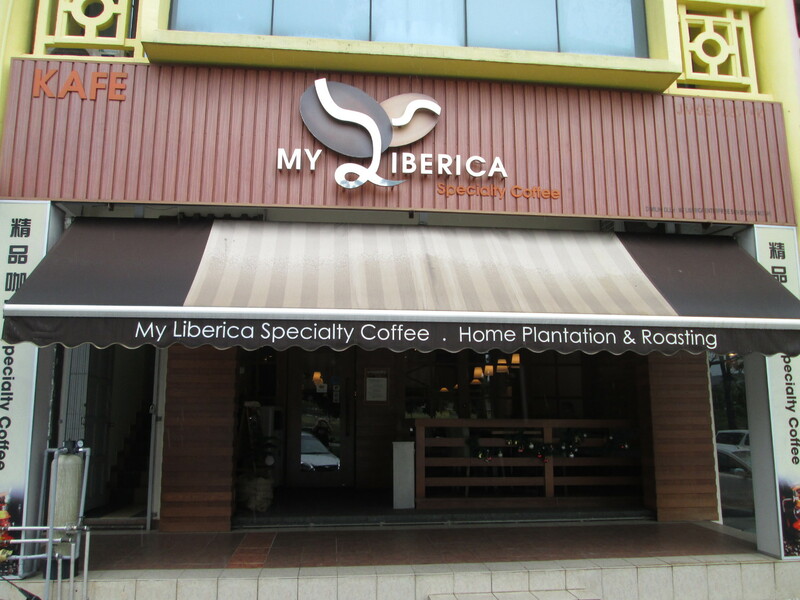 My Liberica has the feel of a western style artisan coffee shop, with lots of choices of how dark you like the roast, how you like your coffee prepared and which bean or blend you want. 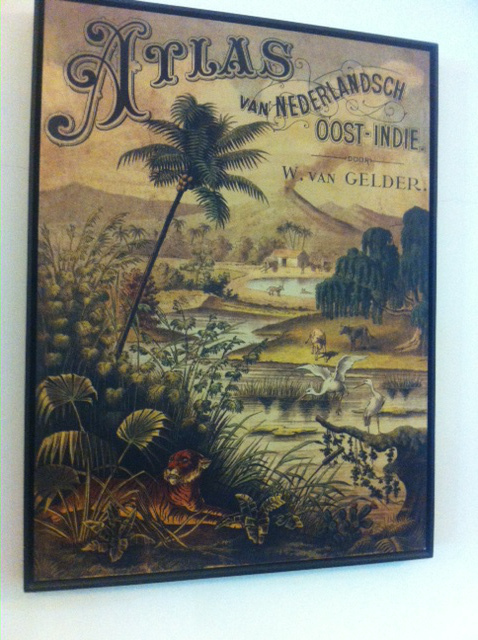 They even do the infamous civet luwak, which we’d seen on the road since Vietnam, but avoided trying. 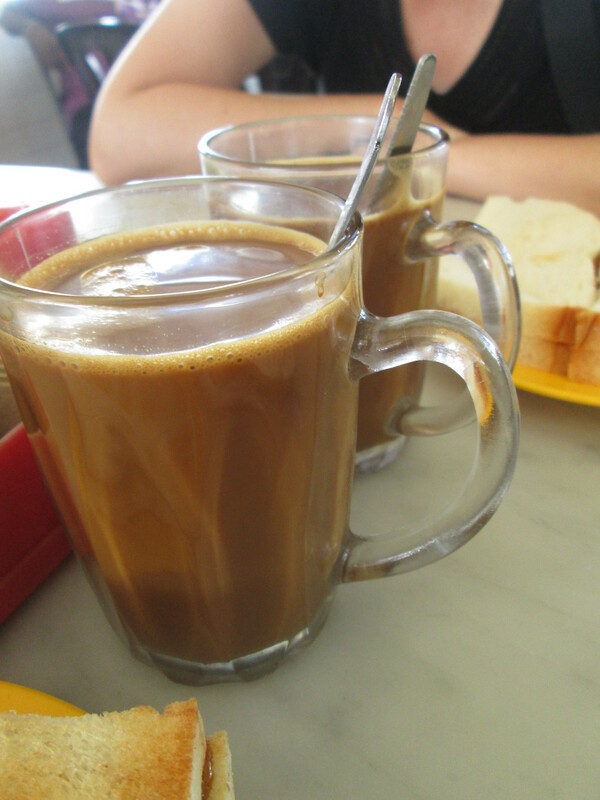 It’s not an easy coffee shop to get to, mind you, with no public transport within a mile of the place, so we had to get a taxi to and from the Taman Molek area, but we tried another coffee shop right in the centre of Johor and didn’t like it nearly as much. 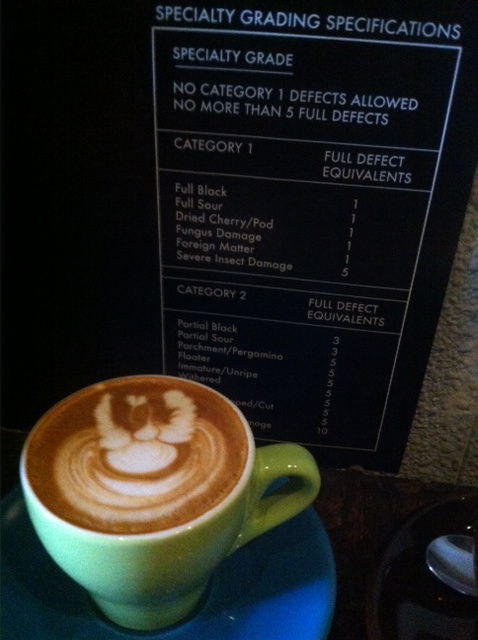 So if you’re anywhere near Malaysia’s second city, get yourself to My Liberica for a fantastic coffee experience. 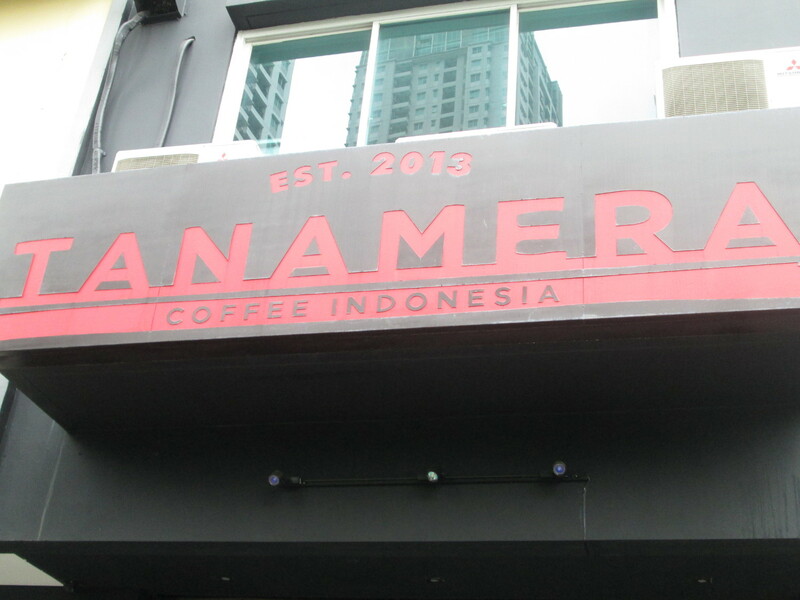 Of course, there’s also that new coffee shop opened up by the guy we’d heard about who used to be based in Kuala Lumpur. We managed to miss the soft opening of Atlas Coffee Embassy by a few days, and he was opening up properly a week or so after our visit. 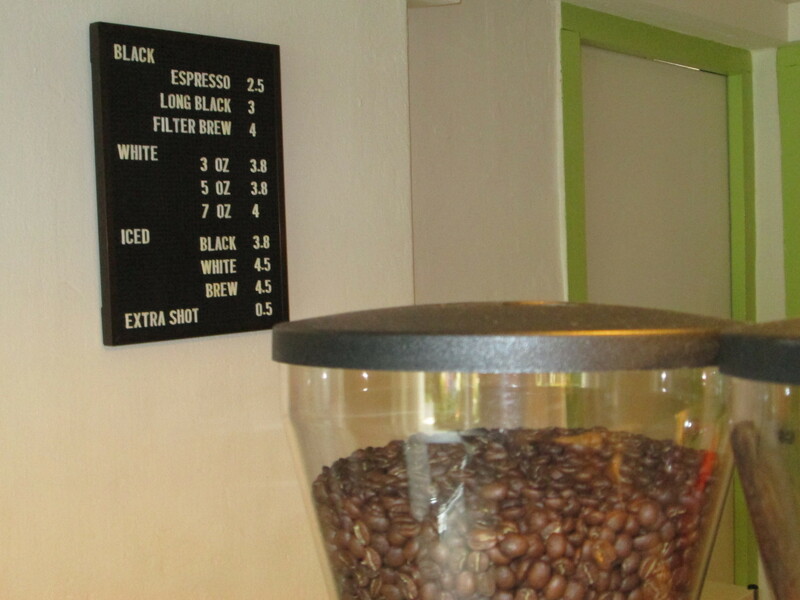 But this means the choices for coffee in Johor Bahru are good ones. 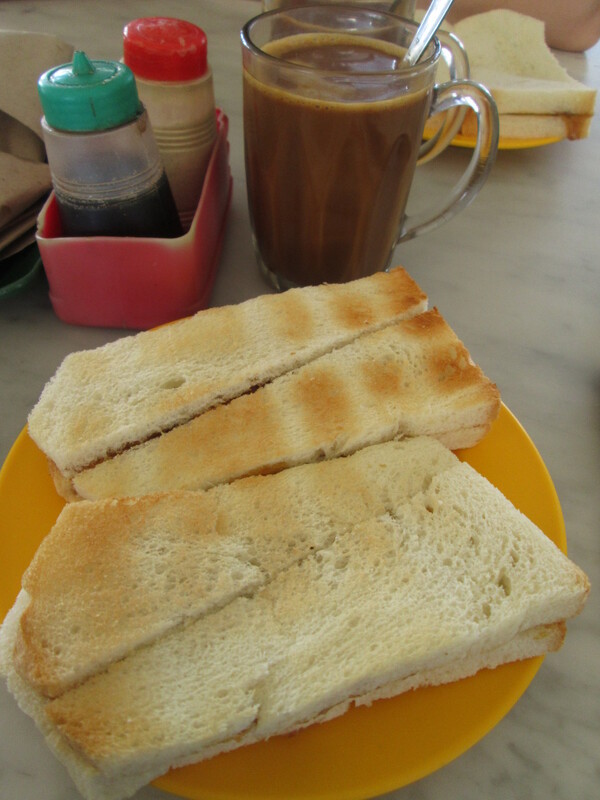 We can’t leave Malaysia, though, without a mention for our favourite place for breakfast in Johor Bahru. 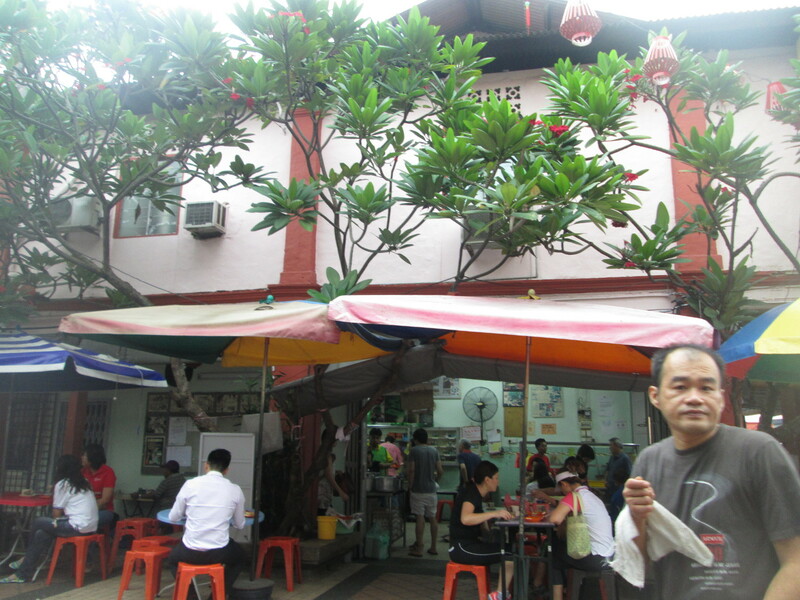 Hua Mui (on the corner of Jalan Trus and Jalan Dhoby) has been around for decades, but the original owner’s granddaughter is still in charge. You’ll get a fabulous egg toast with a rich milky cup of tea for next to nothing here, and you’ll feel most welcome as one of the few westerners among a crowd of locals. 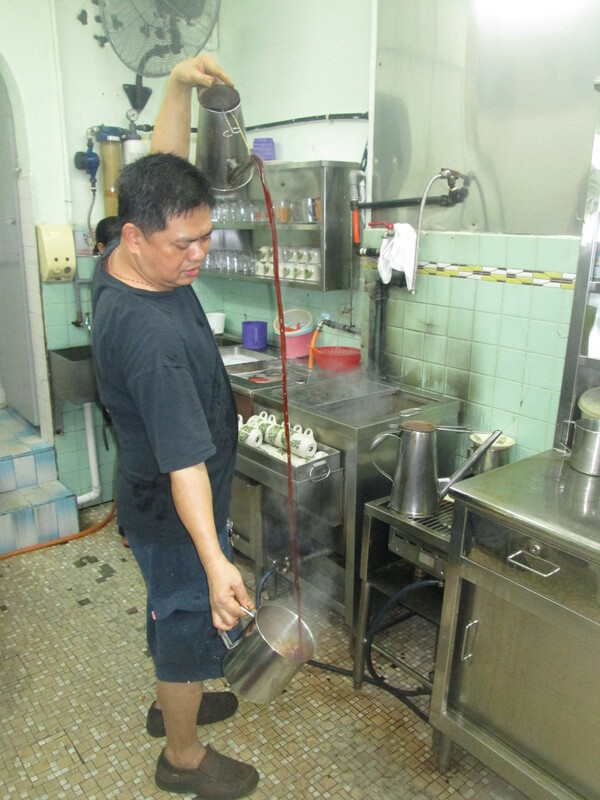 The way they prepare the tea reminded us of the Kluang coffee maker, with the kettle held way up high and poured deftly into our cups from about 6 feet up – it’s apparently another Hainanese family doing things the Hainan way. 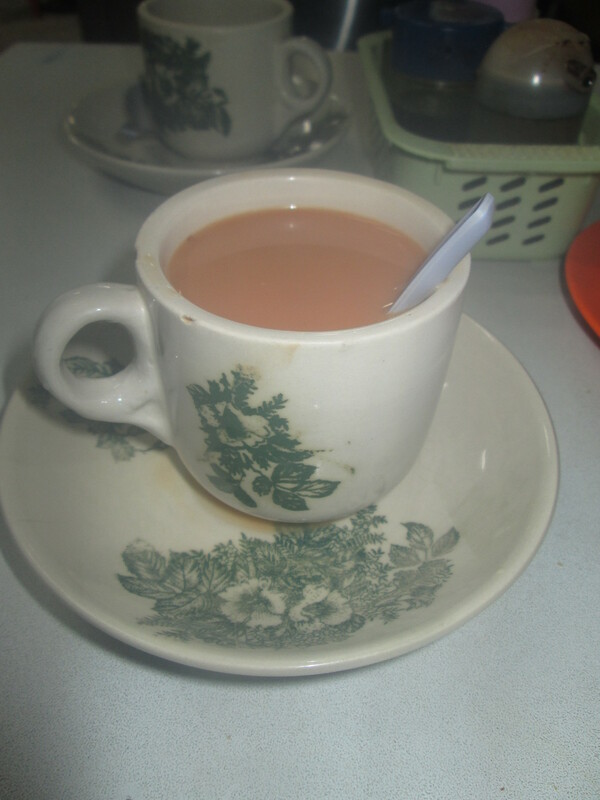 It’s the usual sweetened milk and it probably isn’t the best quality tea, but it’s a fabulous experience and our top tip of all in Johor Bahru. 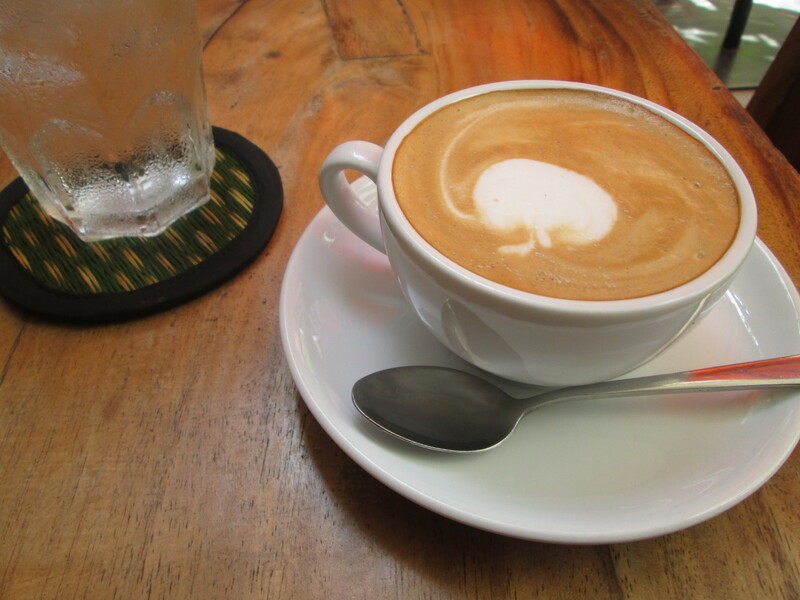 If you’re going to have a coffee in Bangkok, it’s good to get there early. At least, that’s my take on it, since I prefer my coffee hot, while the outside temperature in the Thai capital by mid morning is better suited to smoothies or other cool drinks. 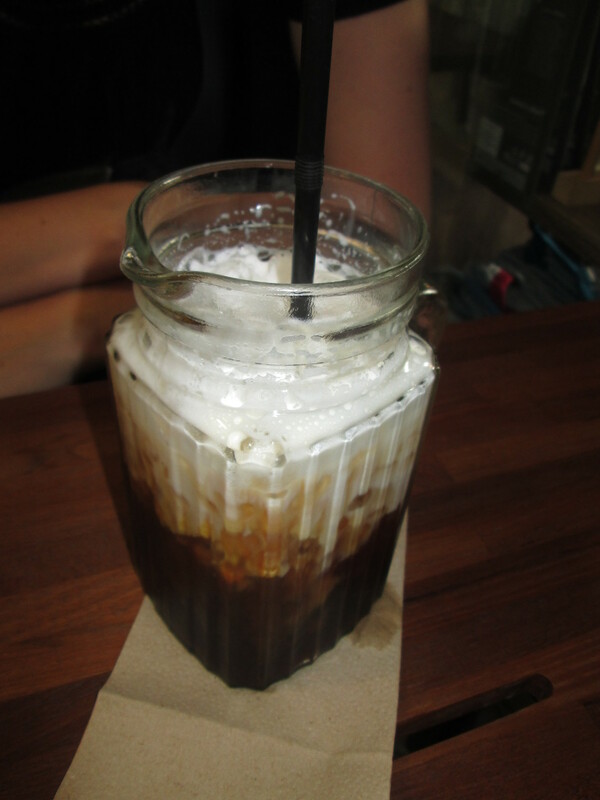 Of course, Anita got round that problem with a big iced coffee at the Gallery Drip Coffee bar in Bangkok. 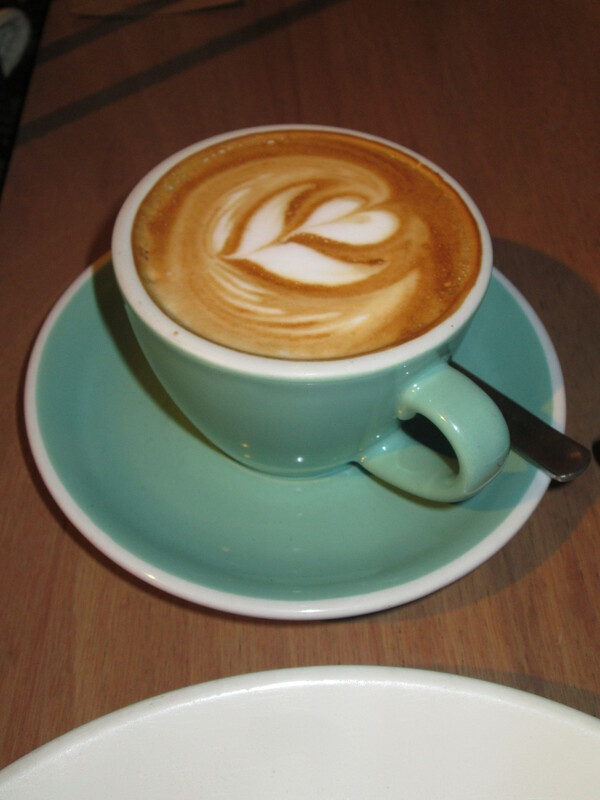 I was a bit hesitant about making this coffee shop our first port of call because I prefer to start my day with a cappuccino or other espresso-based coffee and I feared that Gallery Drip just might be all to do with drip coffee! It is, but this is a great coffee shop and if you look at my coffee with hot milk, you’d barely know it wasn’t a cappuccino. 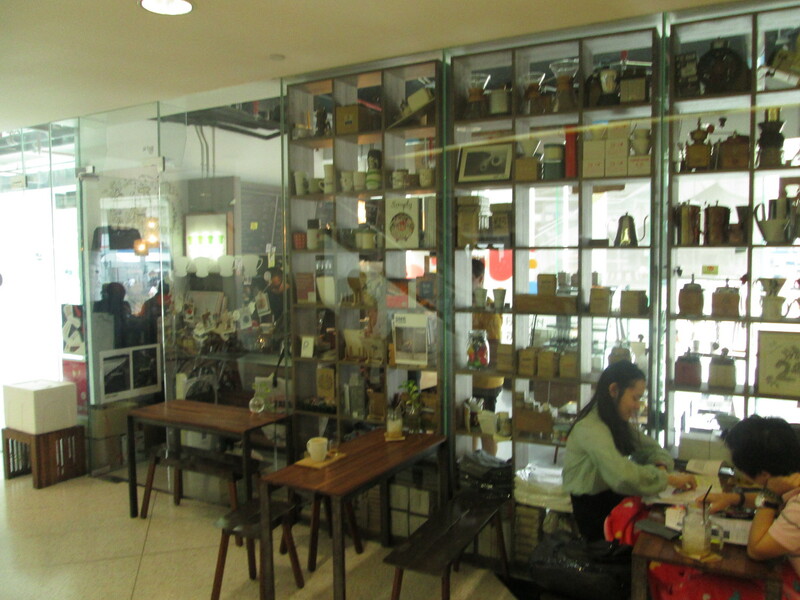 Gallery Drip Coffee is on the ground floor of Bangkok’s Art & Culture Centre (BACC). If you’re looking for it and happen to enter on a higher floor of this building, don’t be diverted to one of the other coffee shops on the way down, as we almost were. 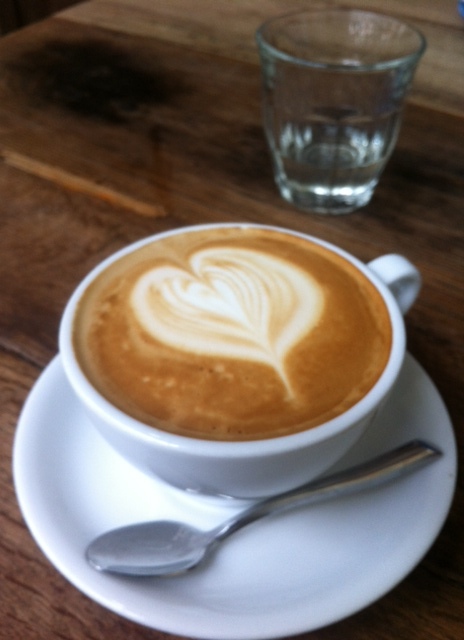 Gallery Drip is worth waiting for. 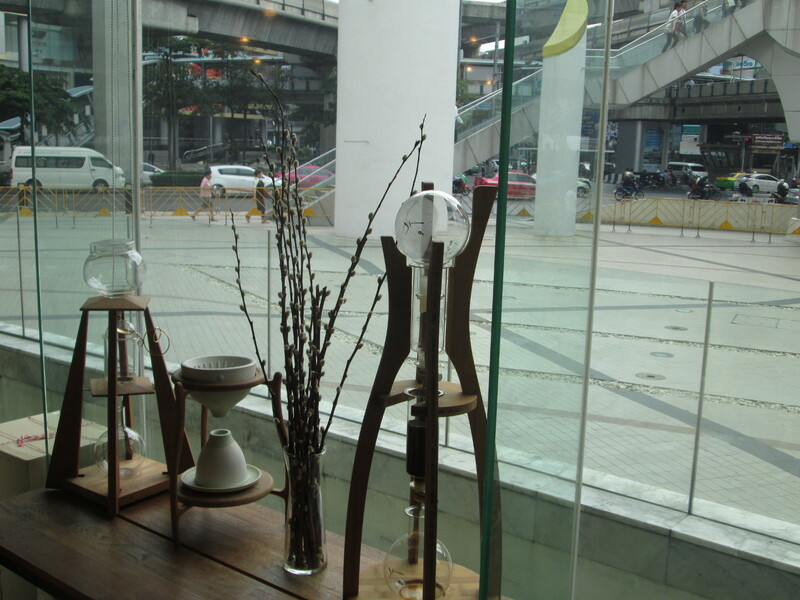 The coffee shop itself is not air conditioned – which can be a bit of a drawback in such a hot city – but they have fans, and if you take one of the seats on the outside of the coffee shop, you can benefit from the gallery/mall air conditioning. What I liked most about this place, apart from the taste of the coffee, was that they go for coffee grown as locally as possible. So we had a blend of Thai coffee, grown near Chiang Mai (which is apparently their all-year-round coffee), and a bean from nearby Laos. 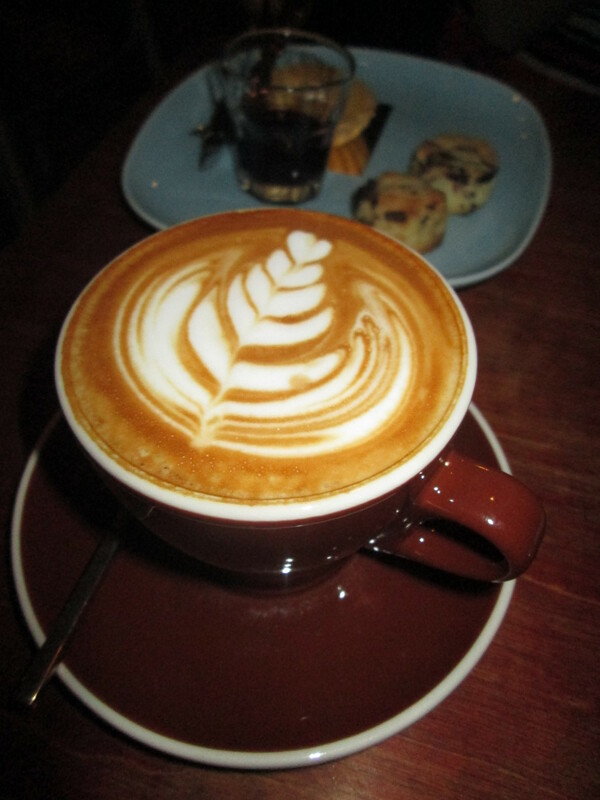 And because this is all about drip coffee, they grind each cup individually, making every coffee a personal creation or work of art by the baristas there. A coffee shop like this in the UK or America might tend to be a bit snobby about their coffee and how they make it, but the guys running Gallery Drip were both friendly and approachable. In fact, when I began to chat with Reggie (a DC expat now living in Bangkok), they began to join in, even offering us other brews to taste. 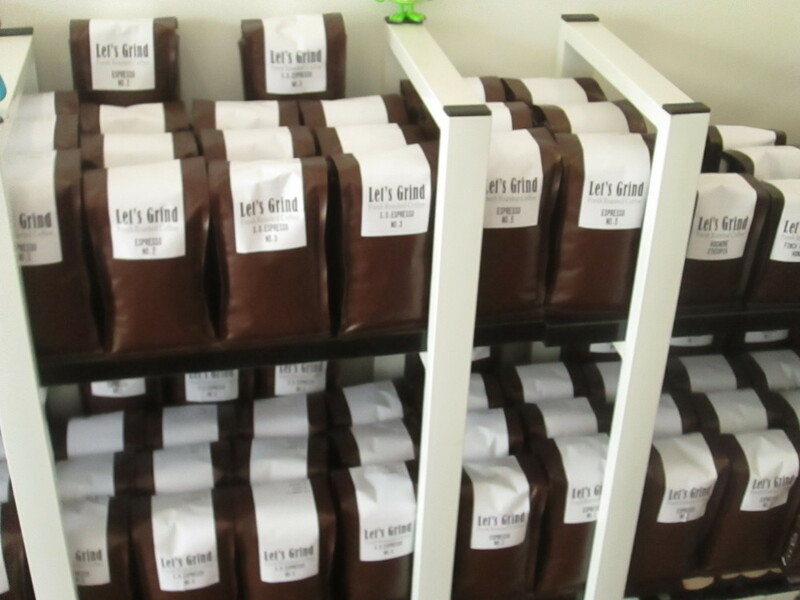 These are genuine coffee lovers who love to engage with others who enjoy their cup of Joe. 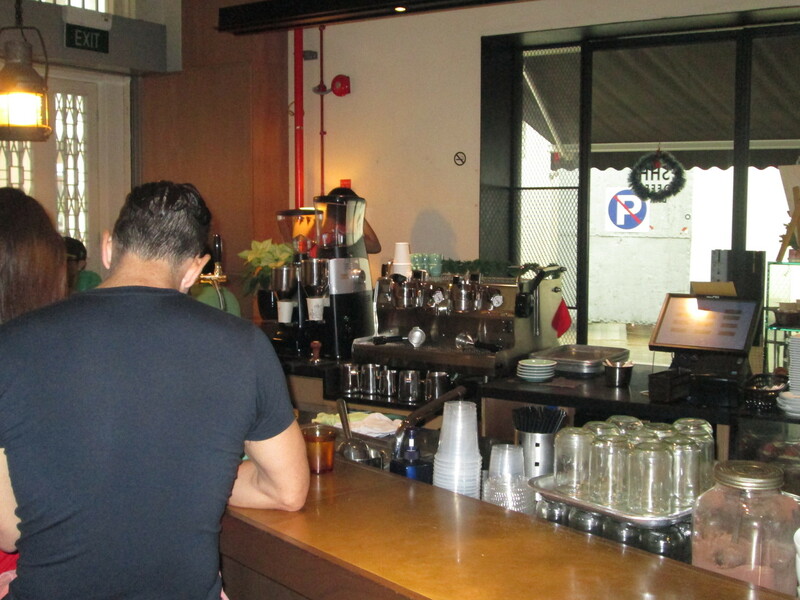 Reggie was also a great source of ideas for where else to go for coffee in Bangkok. I had a list of places recommended by others on social media, but we either couldn’t find these, they were too far away from where we were staying or were closed on the days we were in town. 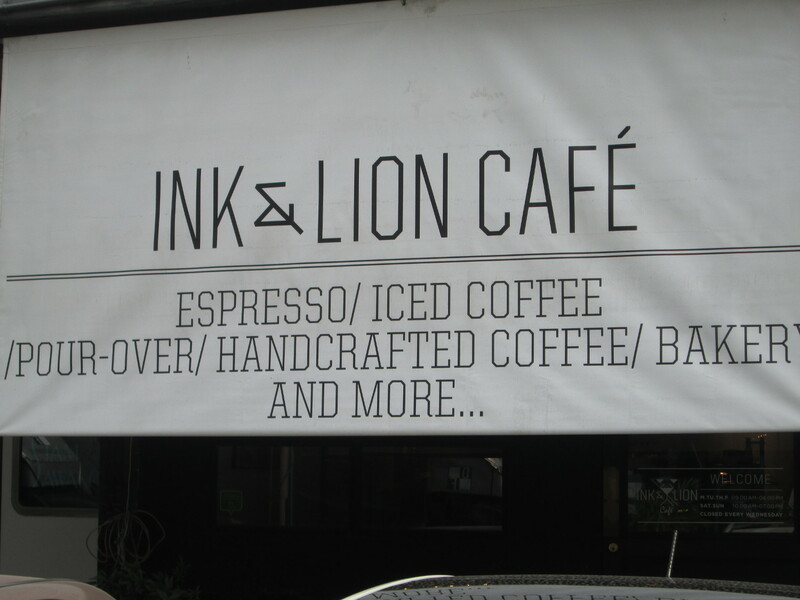 So we ended up for our second Bangkok coffee at a wonderful place called Ink & Lion. This is not the easiest place to find, if you don’t know it or aren’t familiar with Bangkok’s strange street naming methods. 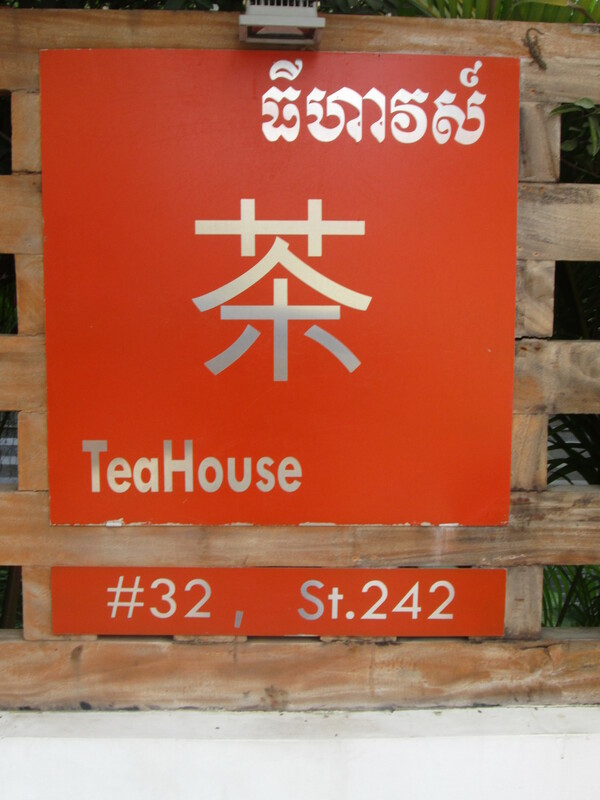 Its address is 1/6 Ekamai 2, Sukhumvit 63. Basically we walked up and down Sukhumvit 63 street several times before resorting to asking some guys in a London pie shop (yes, really, in Bangkok! ), and it just happened that one of them knew the place. 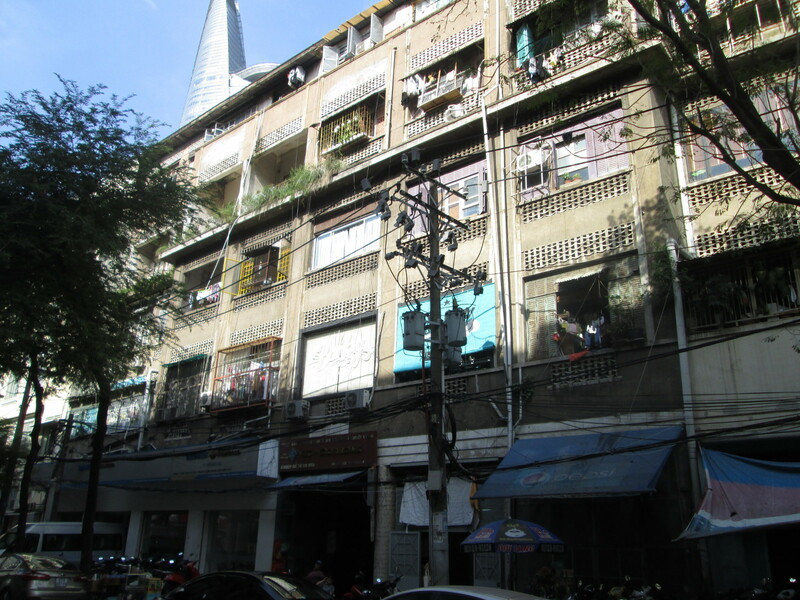 Their description, and the best guide to getting there for now at least (December 2014) is behind the derelict Irish pub at the start of Sukhumvit 63. 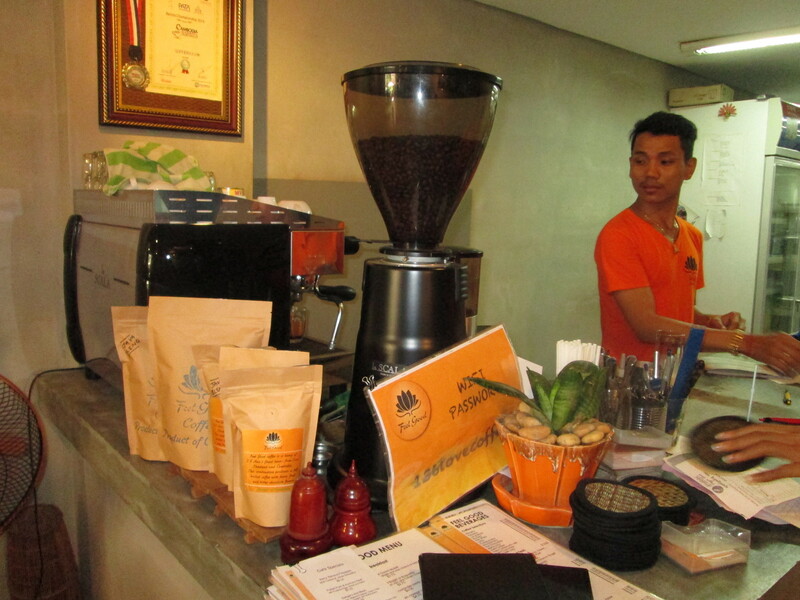 I loved their coffee options, with two blends on offer for the espresso machine: one just had Thai coffee in it; the other a fantastic mix of Thai, Indonesian, Brazilian and Ethiopian. 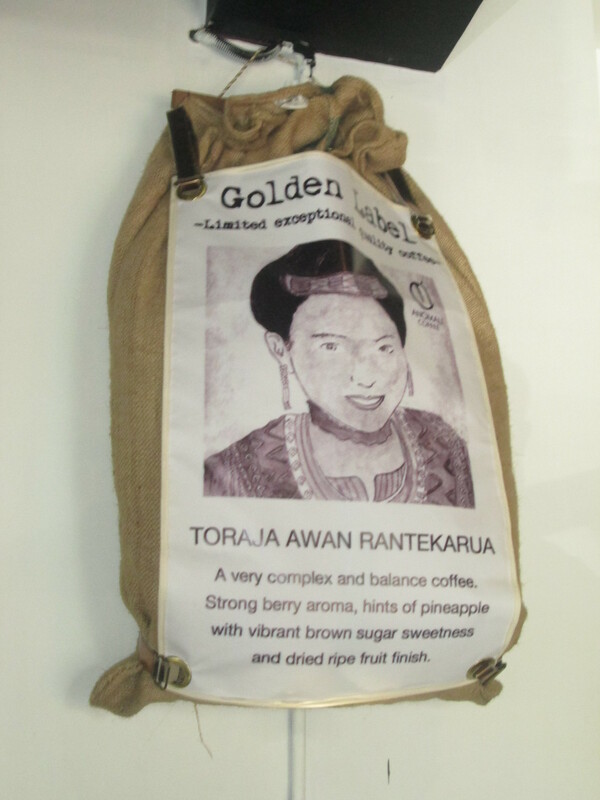 Or they had a whole range of single origins if you wanted your coffee made by some other non-espresso method. 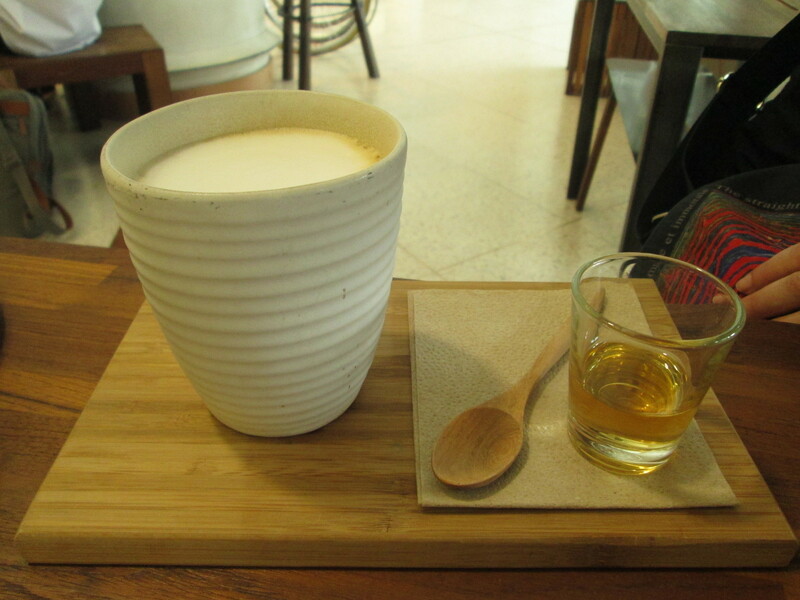 There had been quite a mix of westerners and locals in Gallery Drip, but in Ink and Lion, we were the only westerners there, suggesting that Bangkok is developing its own indigenous coffee scene. 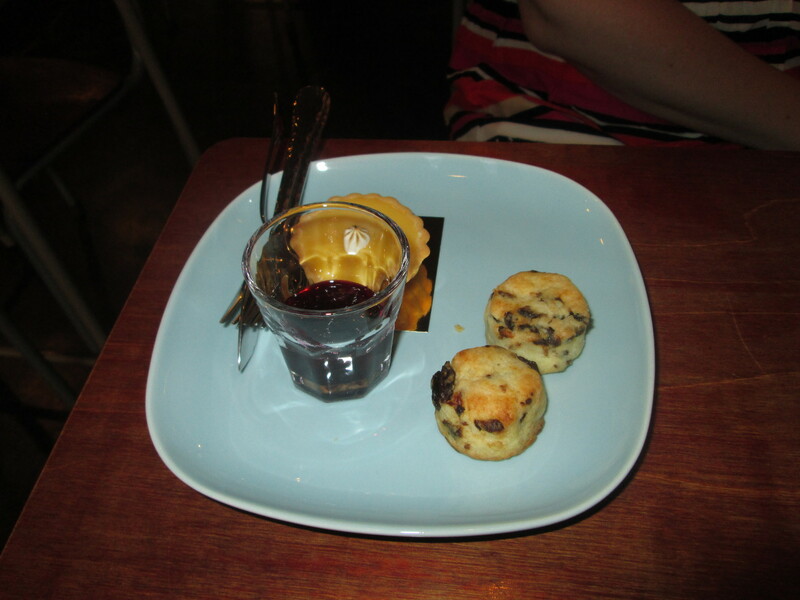 If you’re into American-sized muffins and other cakes, you might at first think there isn’t a lot to eat here at Ink & Lion, but actually their mini scones and cheesecake are both delicious and filling. And finally, how did they get such an unusual name? 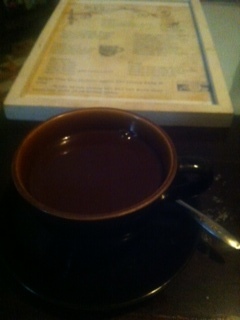 Well, the ink is linked to the arty scene the owners come from, as well as being the colour of coffee. 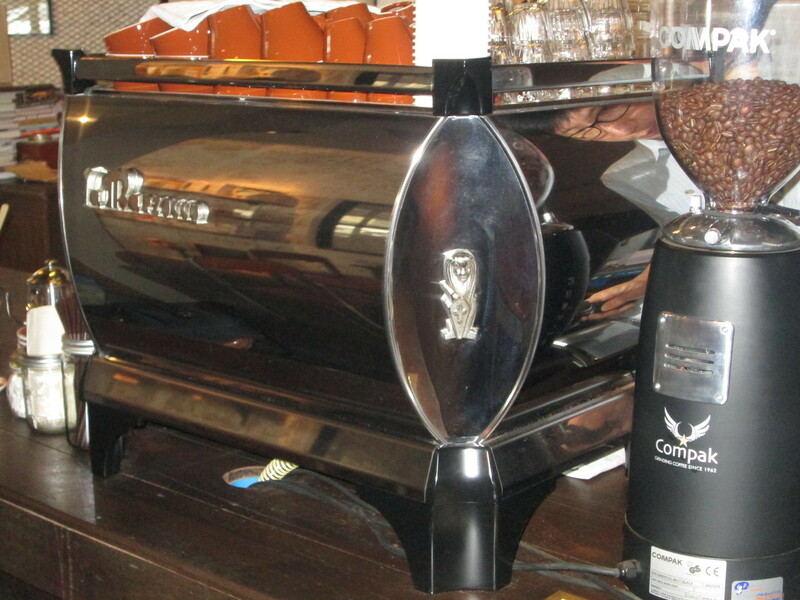 And the lion is the motif on their rather attractive Marzocco espresso machine. Oh, and if you’re heading that way, please note that they are not open on Wednesdays. 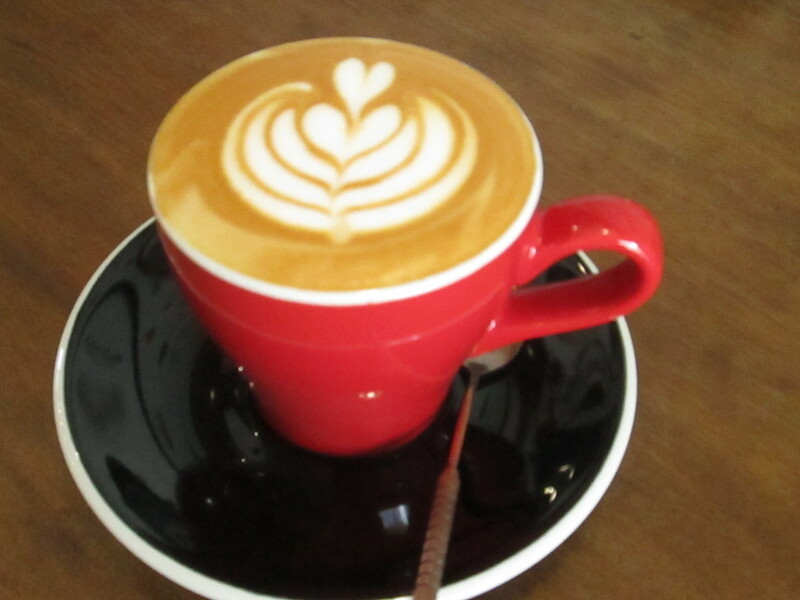 So, we can’t claim to have reviewed the Bangkok coffee scene, with only two coffee shops visited out of the many places that have opened in the last five or so years. But we were delighted with what we did find. 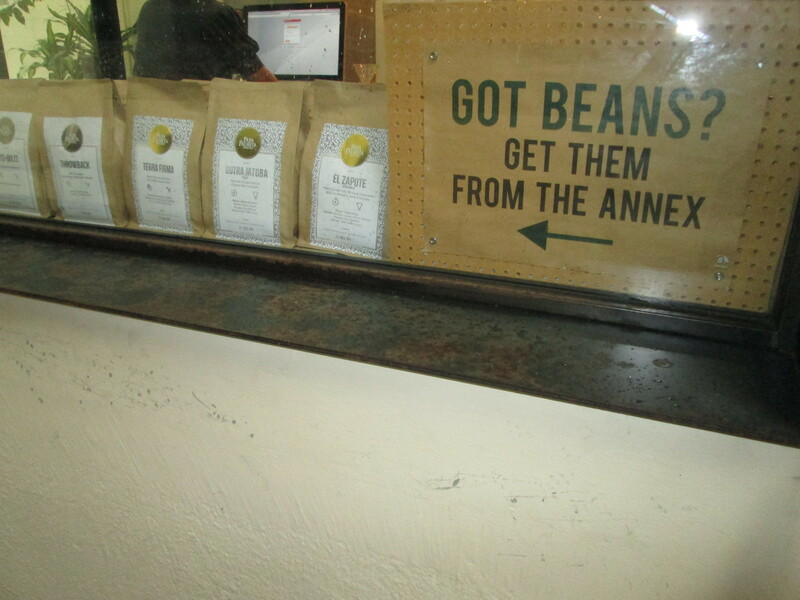 We loved the fact that both venues are run by locals and both used coffee grown locally. And they both combined quality with friendliness, something that can be hard to find at times. And thanks also to Reggie from DC (yes we shared a love for Swings and Peregrine Coffee in Washington) for his great conversation and tremendous coffee tips. Just a shame we didn’t get to try more of them! We didn’t really know what to make of Saigon. We didn’t even know what to call it, or whether the name you give the place has political or social connotations like Derry/Londonderry in Northern Ireland. 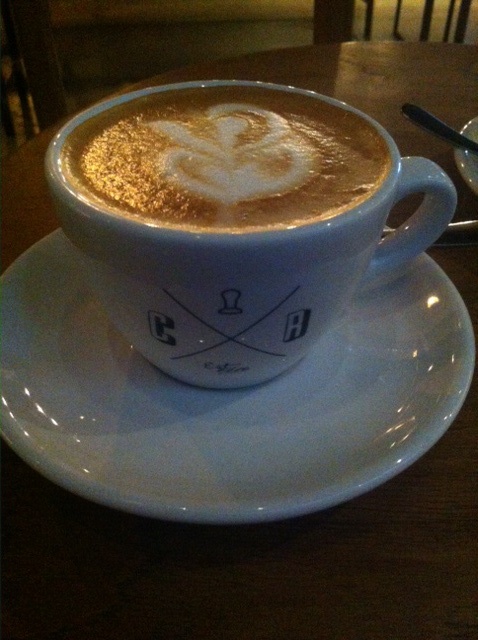 And it was hard to gauge the coffee scene there, too. 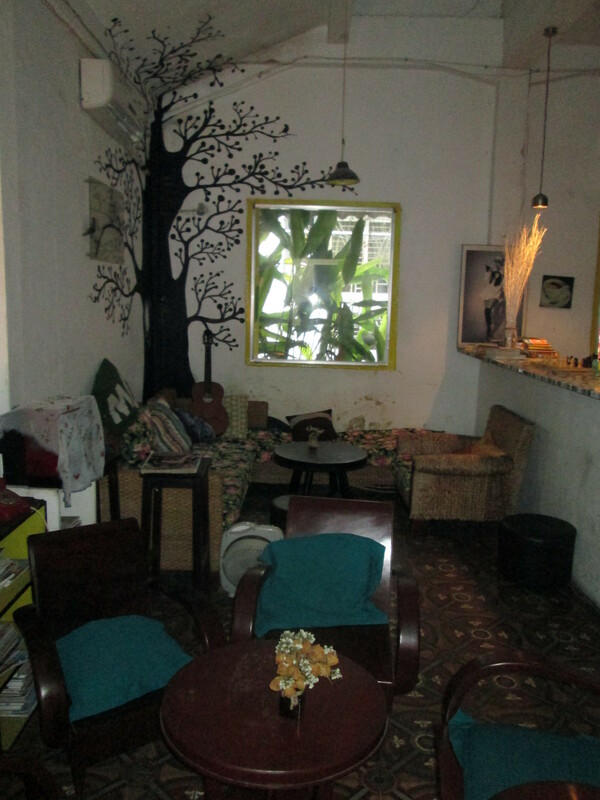 There’s an excellent overview of cafés in the city by a blogger called Vietnam Coracle, though many of them are so hidden away that we tried and failed to find them. We did manage to find this old block of flats that has now been largely converted into retail spaces for cafés and vintage clothes shops, although some apartments are clearly still occupied as residences, and one old woman frantically pointed towards the cafes as soon as she saw us. I loved the idea of using such rundown residential blocks and giving them a new lease of life, but the cafés we found here were a mixed bunch, with more focus apparently on appearances than on the quality of the coffee. 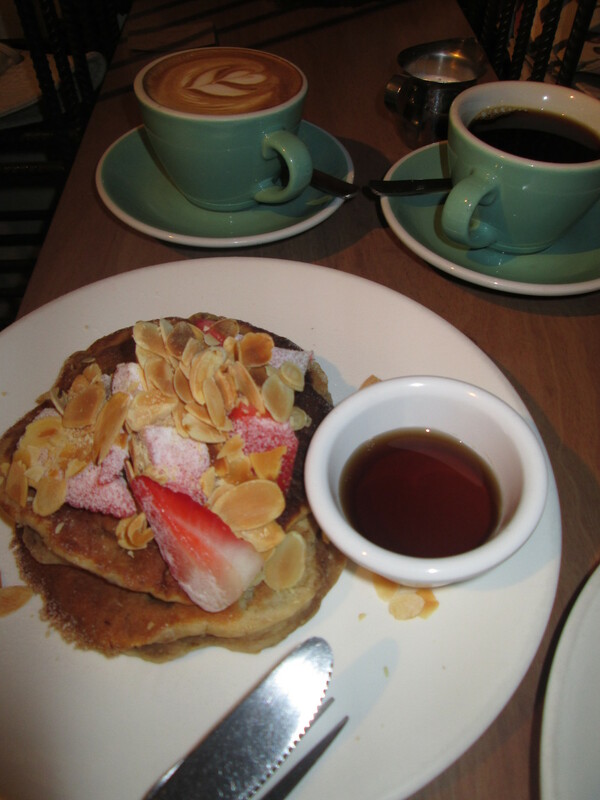 Of all the venues in that particular block, we liked best of all a café called Things. Mind you, it was possibly the hardest one to find, being right up at the top of the block, round several corners and up some more steps to get to the virtually unmarked front door. 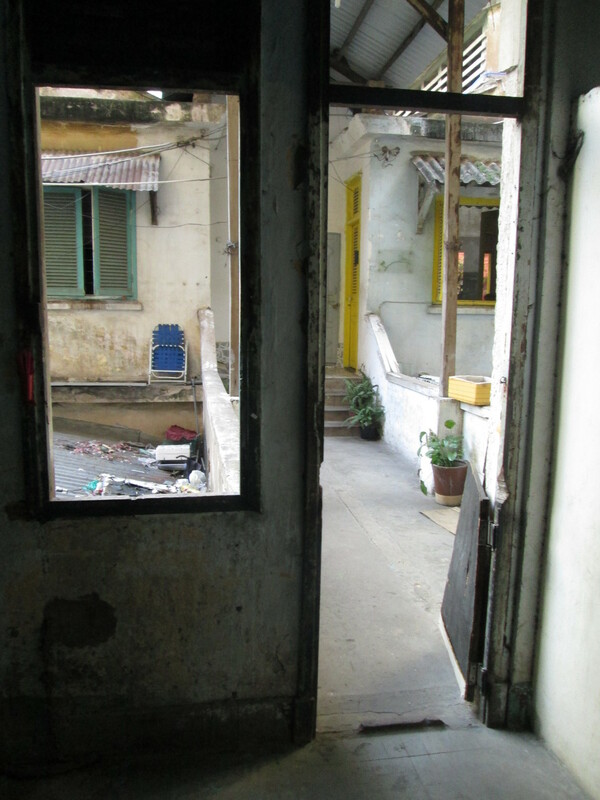 But inside, it felt like being in someone’s home – which it may well have been (it was just quite hard to tell). 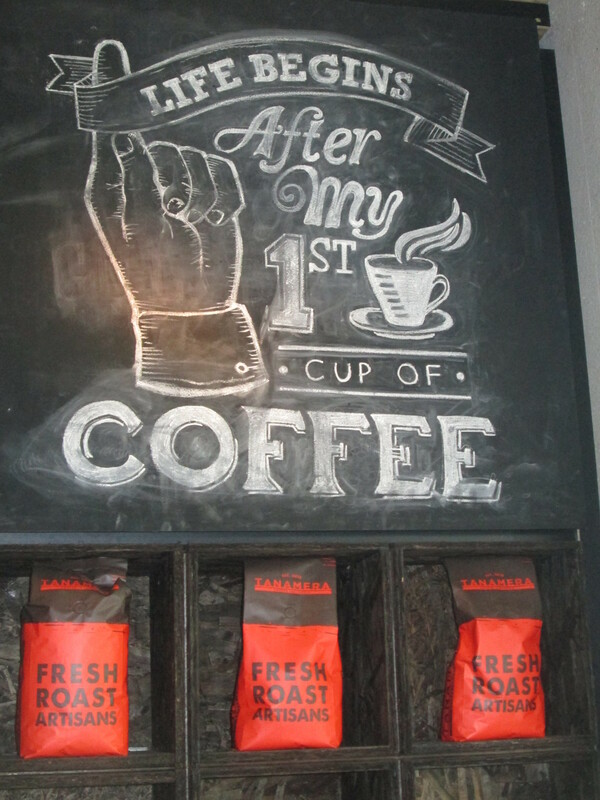 The coffee was good, here, though, which is why it gets our vote, and the welcome was warm. 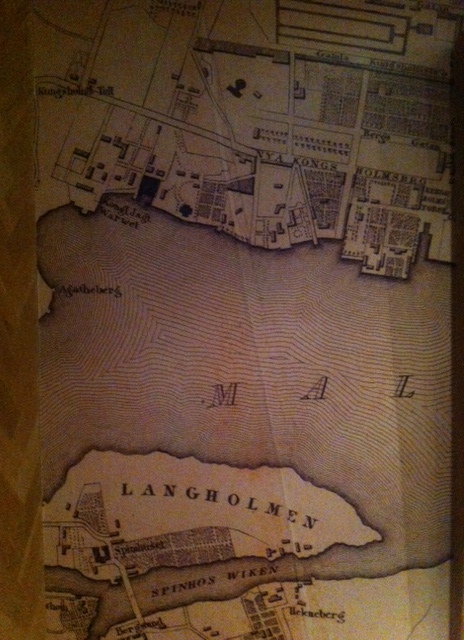 The address of that block of flats, by the way: Ton That Dam 14, in District 1. There are a couple of cafés mentioned on the Vietnam Coracle blog in another street, which we walked up and down twice before giving up on finding them (Ngo Thori Nhiem, in case you want to give them a go yourselves). 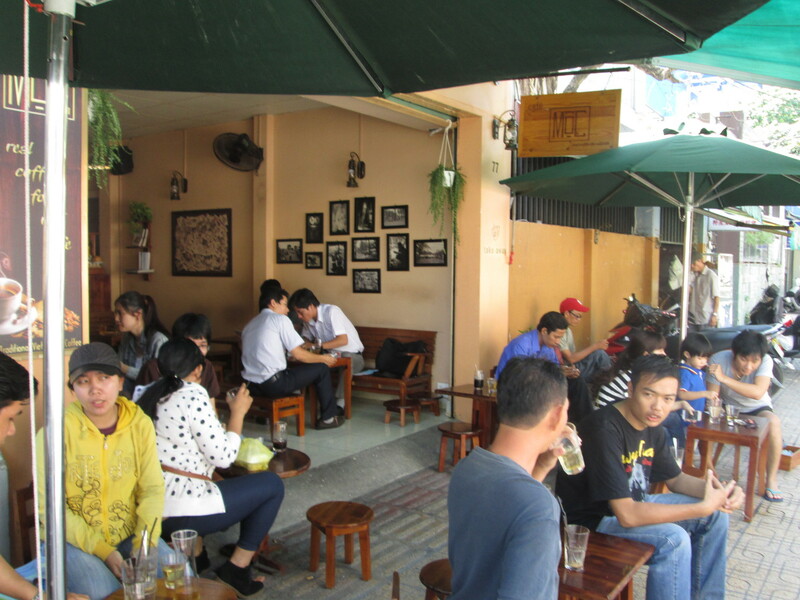 But at the start of the same street (77 Ngo Thori Nhiem, to be exact), we did find Moc Coffee, which seemed much like the kind of coffee shop we had found in Hanoi, with customers spilling out onto the pavement, and a good cup of Vietnamese Coffee on offer. 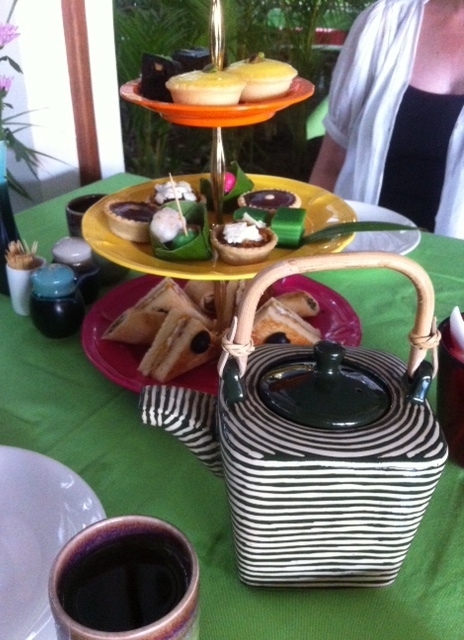 We liked this place, especially as Mrs Cuppa got a phone call while we were there, with some very very good news. 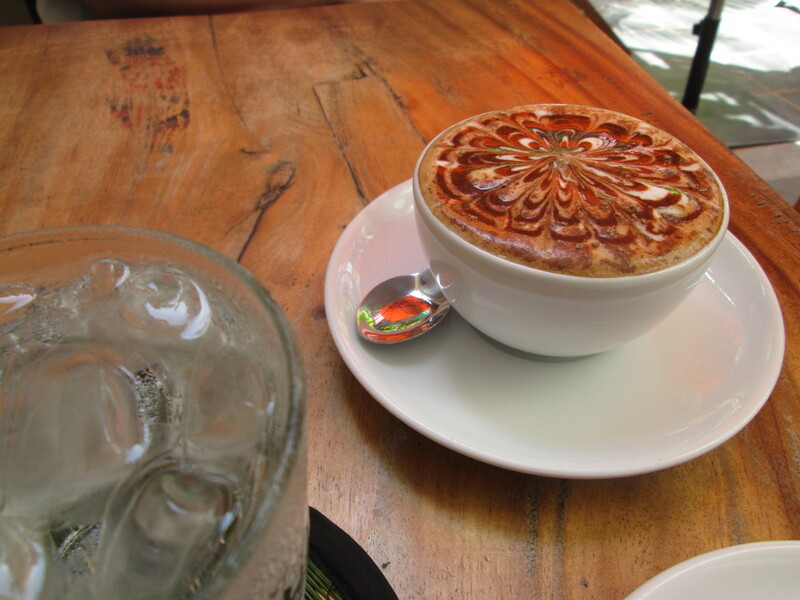 So for coffee in Saigon (or Ho Chi Minh City), we’d recommend a trip to Moc Coffee. 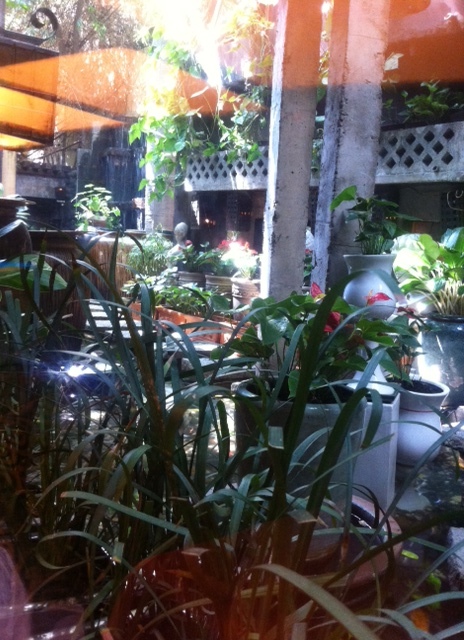 We did manage to find Tram Café, another recommended by Vietnam Coracle. This is certainly easier to find, with a flashing neon sign out in the street (Tran Huy Lieu). 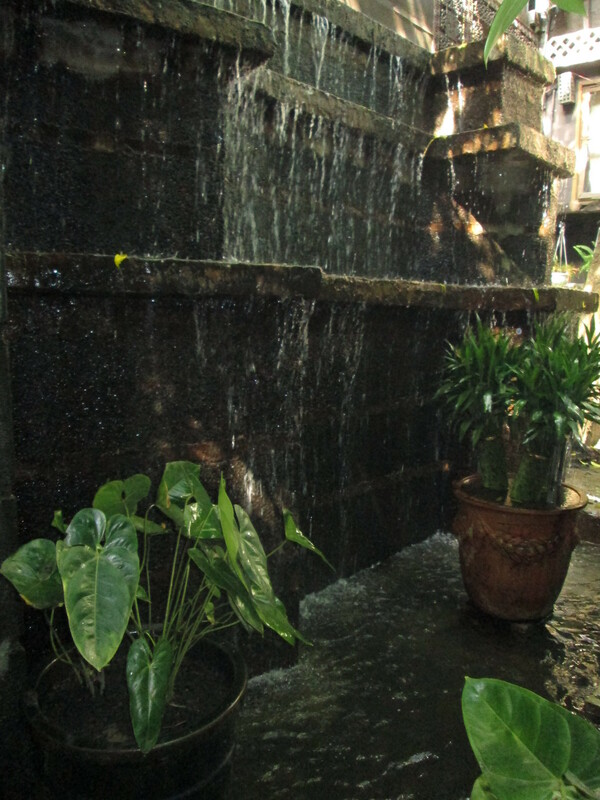 And it’s set in absolutely stunning gardens, with fountains and fish, a stepping stone walkway to the inside area, and a beautiful dimly-lit interior, the kind of place you’d go for a casual first date in Saigon, I’d say. It is more of a restaurant than a coffee shop, though, so although we loved the place, it’s probably not a venue we’ll add to our reviews when we post them. 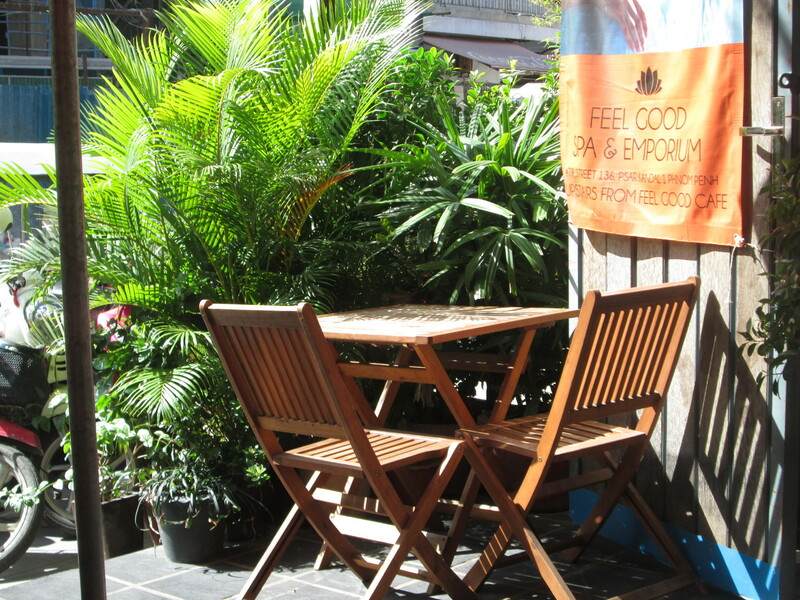 However, if you’re in Saigon and want somewhere different for a good lunch, this is the place to visit. 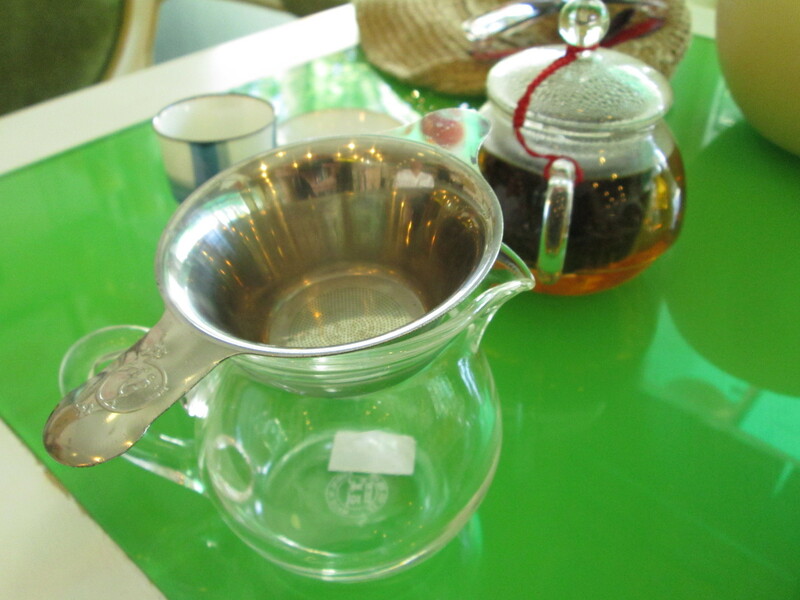 And finally, tea in Saigon. 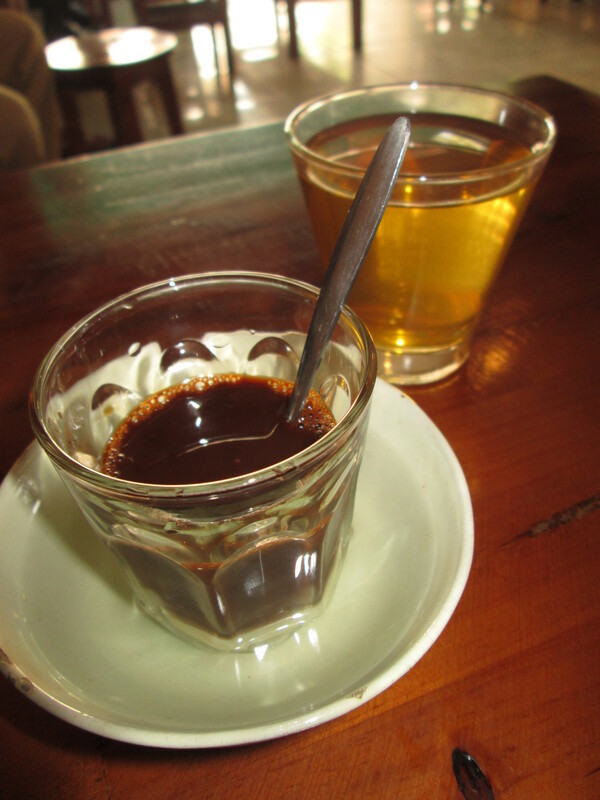 Vietnam has much more of a focus on coffee than tea. 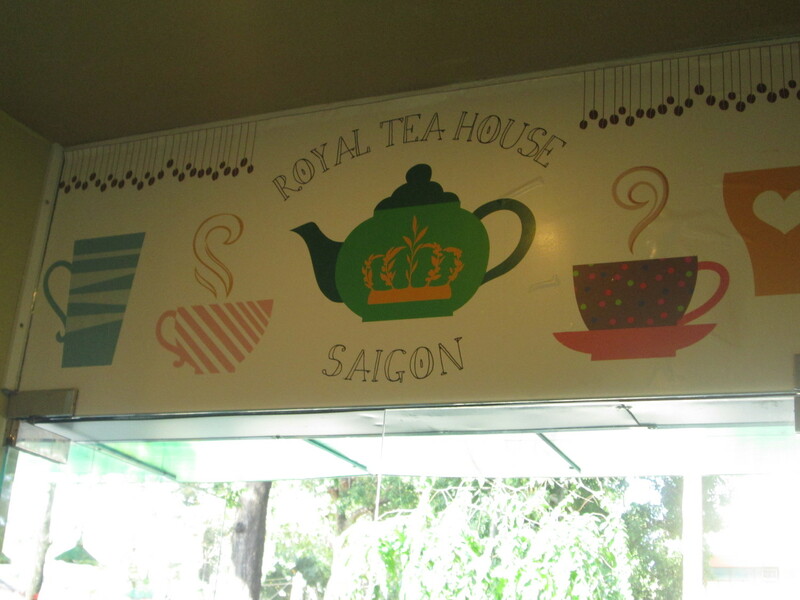 But the Royal Tea House in Pham Ngoc Thach Street was one of the nicest tea rooms we had visited for some time. The Tiendat family has been in tea in Vietnam since 1956, so they must have seen a fair few changes in that time, and there’s surely a book to be written on their experiences as they went from post-colonial tea family to the struggles of war with America and then carrying on through the post-war Communist regime. 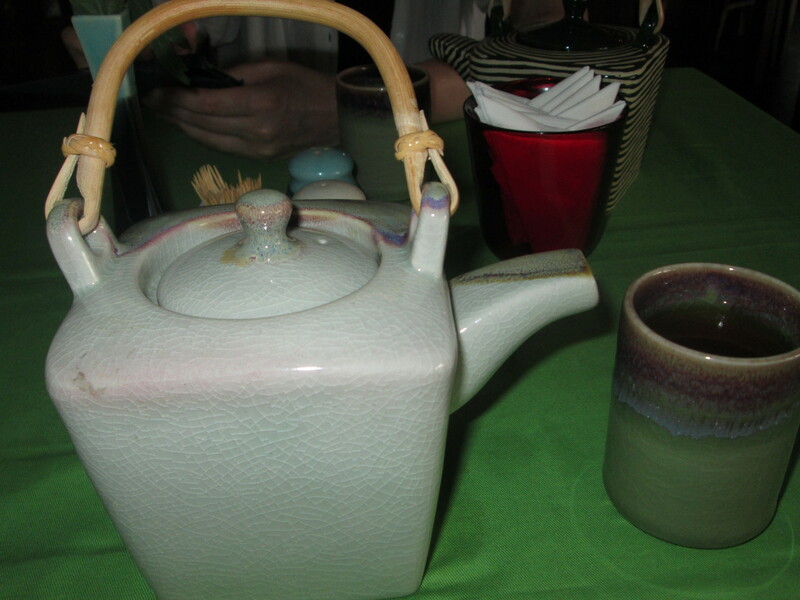 We didn’t get a chance to ask owner Krystal many questions, though she did take the time to talk us through some of the teas her family has produced, and would probably have been open to a longer chat if we’d had time. 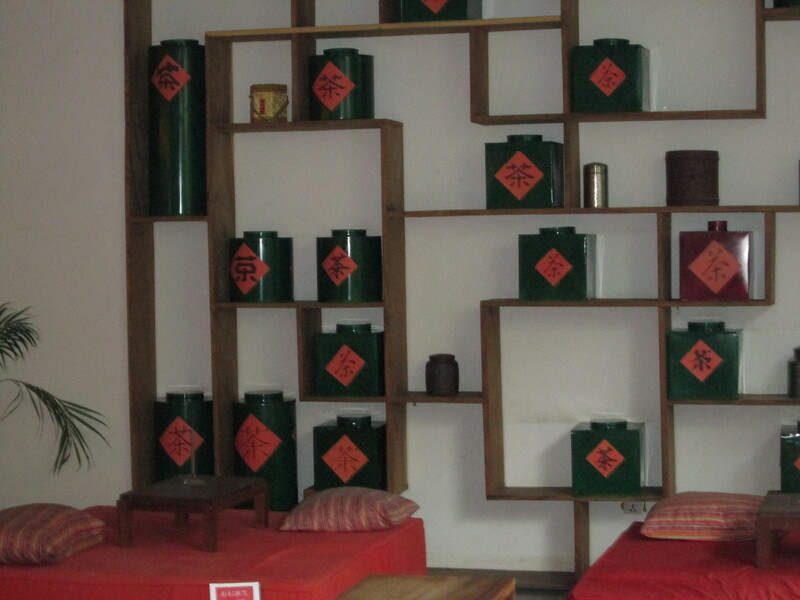 But you can feel her passion for the tea that runs in her family and her pride in the tea room she has set up not far from central Saigon. 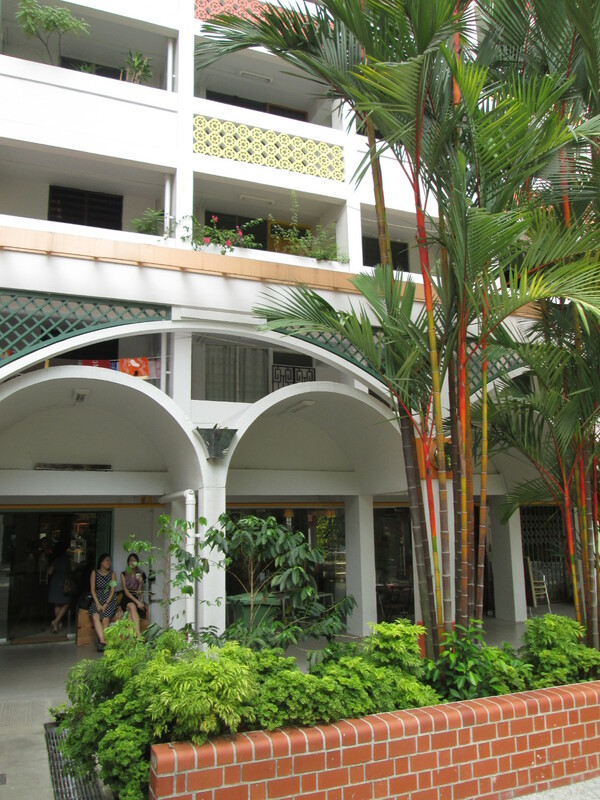 We loved this place as a cool haven away from Saigon’s stressful streets. And with their rather nice coconut mini cakes it felt about as close to a traditional afternoon tea as we’d seen in quite a few weeks. 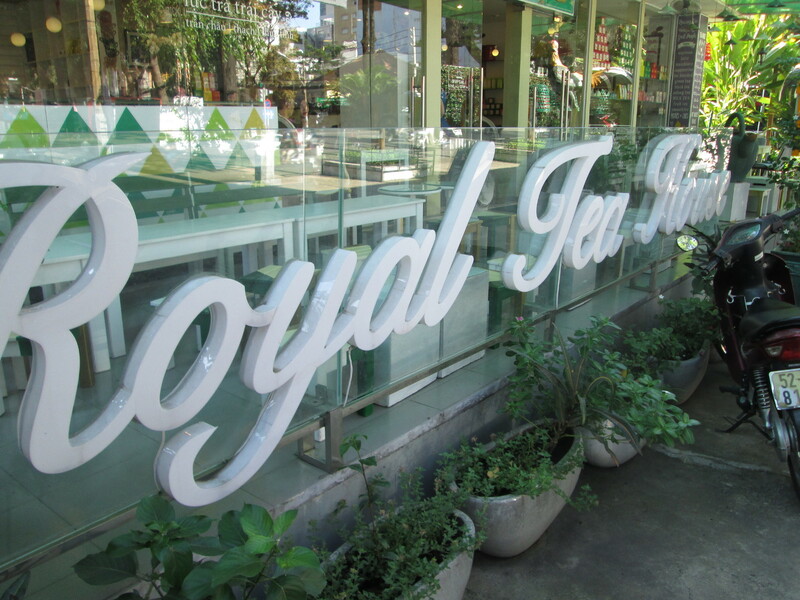 So our top tip for tea in Saigon has to be Royal Tea House. 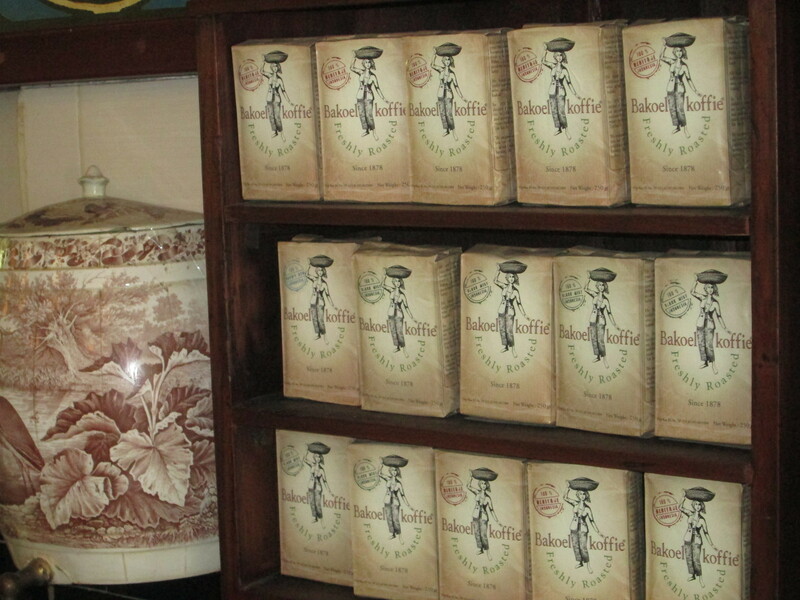 And if you like the tea as much as we did, you may be tempted to buy a packet; they produce black and green teas on the family plantation in Dalat, and they source other teas on the menu from Taiwan and China. 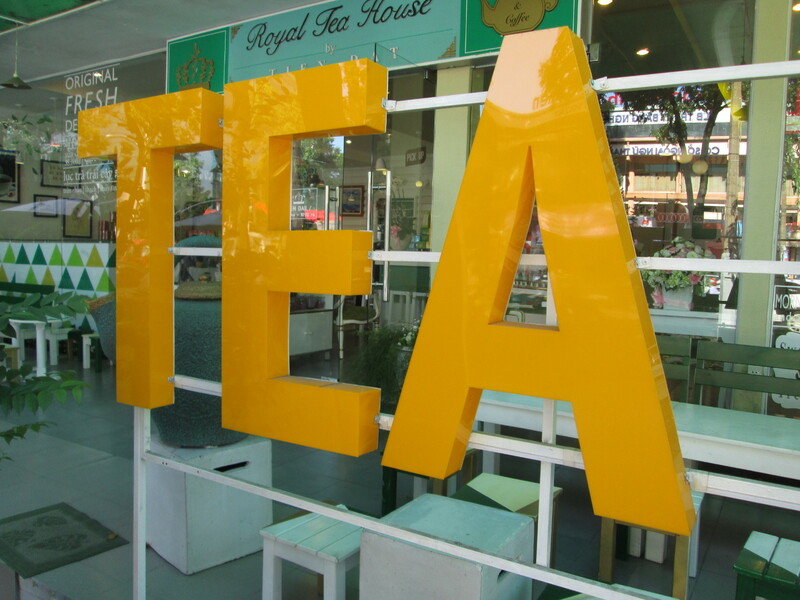 So, we’re pretty sure we found the best place for afternoon tea in Saigon. I know Chengdu is a popular tourist destination, for its panda centre as much as for its location on the route to Tibet, but we were amazed just how many western-style coffee shops there were dotted around town. The ones we found were all run by Chinese, though we didn’t see a single local actually having a coffee in one! 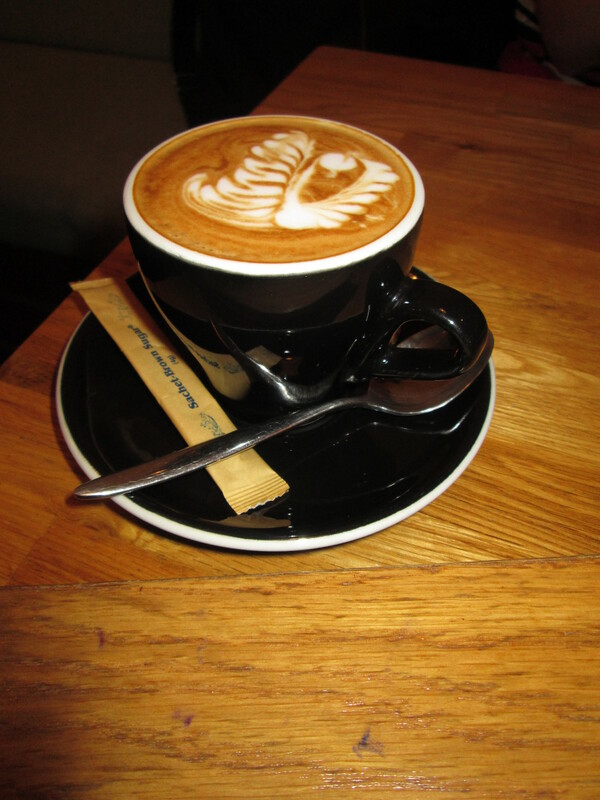 Our first coffee in Chengdu was a completely chance find. We’d been wandering more or less aimlessly. Without wifi, without a map and with only a few basic words of Chinese, it is not easy to start navigating a coffee trail in a big city like Chengdu. And even when we did find a street that seemed to have a fair range of decent-looking cafés at round about 10am, they were mostly shut, and had the look of bars that opened around midday. The coffee was in a different league to anything we’d drunk since we left Istanbul. A smooth, rich roast that was not too strong and left the palate craving more, that’s the kind of coffee I love. 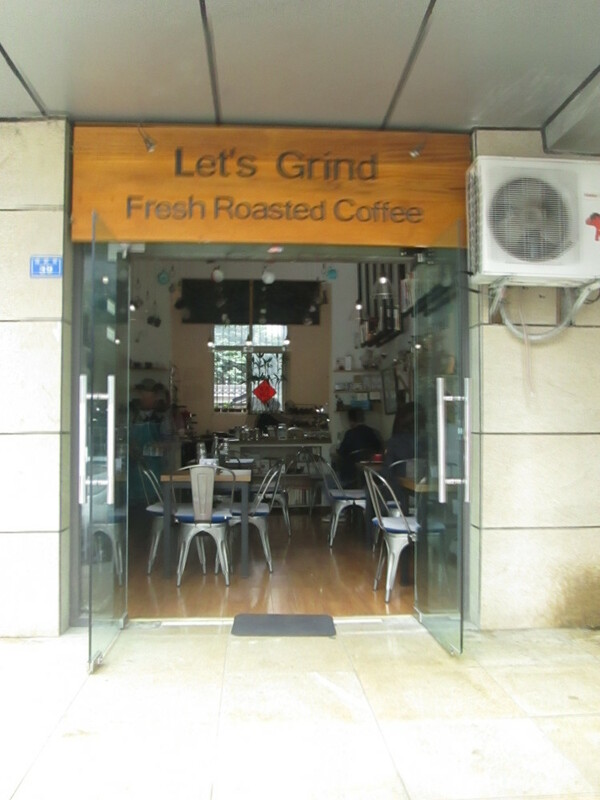 As I ordered my second cup, I commented on how good it was, and was told that the roaster was one of China’s top coffee guys; he lives in Chengdu, they said, and runs his own coffee shop in another part of town. We made a note of the address and got ourselves over to Let’s Grind the next day. Now, the thing about coffee shops in China is that – just as we’d found in Iran – they don’t tend to open for the early risers on their way to work or the university. Many only open at 12, and sure enough when we got to Let’s Grind at about 10.45am, it was boarded up and very much shut. We went somewhere else down the same street and had a coffee that was not half as good as at The Loft, and felt very disgruntled, especially as there were no opening times on the door of Let’s Grind. Well folks, I’m pleased to report that Let’s Grind opens at 11am, so we went in for another coffee as their first customers of the day. Sadly, the owner and champion roaster guy (whose name I have written down somewhere, but it is lost in a pile of papers in my backpack – so I’ll add that it once we are at the end of our journey) was away for a few days in Shanghai, but his staff of baristas made us a fabulous cappuccino, and brought some cheesecake out of the fridge for us to wolf down while they had their breakfasts of meat and noodles. 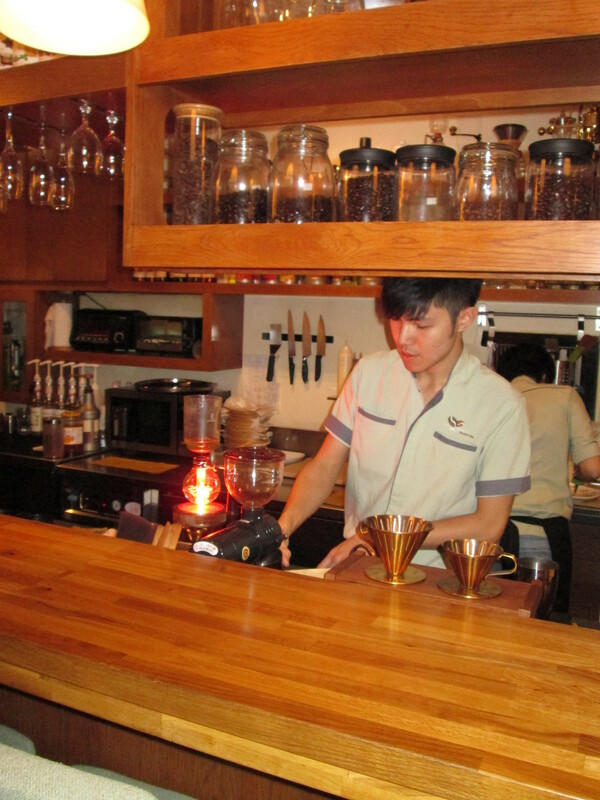 They have a wonderful blend for the espresso machine, a whole range of options for the pourover coffees and some delicious-sounding single origins, all roasted locally in Chengdu. 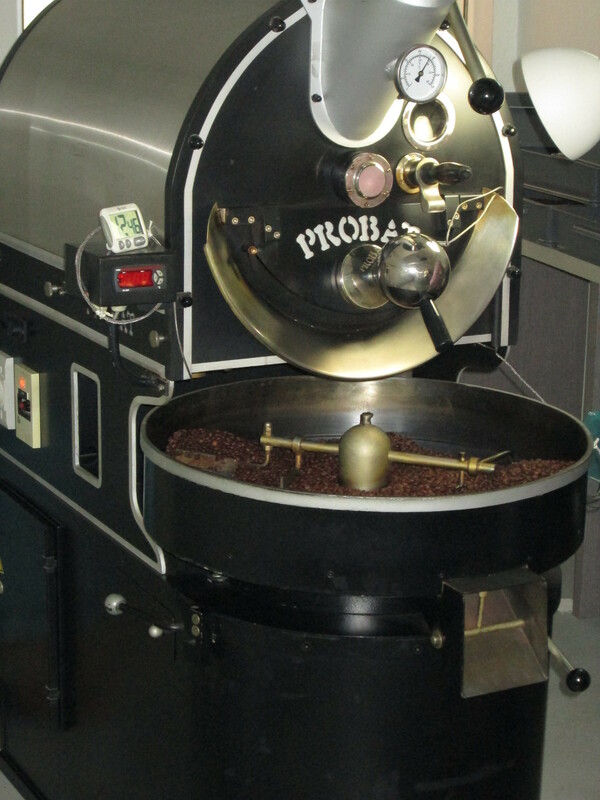 Let’s Grind is a real coffee lovers’ paradise. We returned with some other coffee-loving Brits we’d met a couple of days later. Again, we arrived at 11am, just as they were opening up, only to find out that the grinder had completely broken and they were unable to make us our coffees. 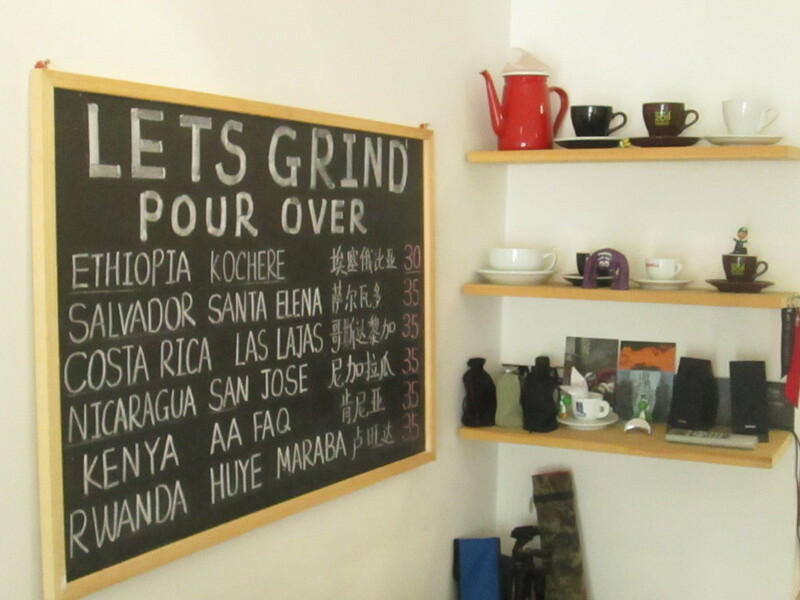 We had visions of the little café in Osh where they individually hand grind the coffee for each cup, but there didn’t seem to be a plan B for Let’s Grind. You could tell the barista was very upset, and we couldn’t help wondering what she’d be doing for the rest of the day, but we had to move on, with only the memory of the wonderful coffee we’d had on our first visit. 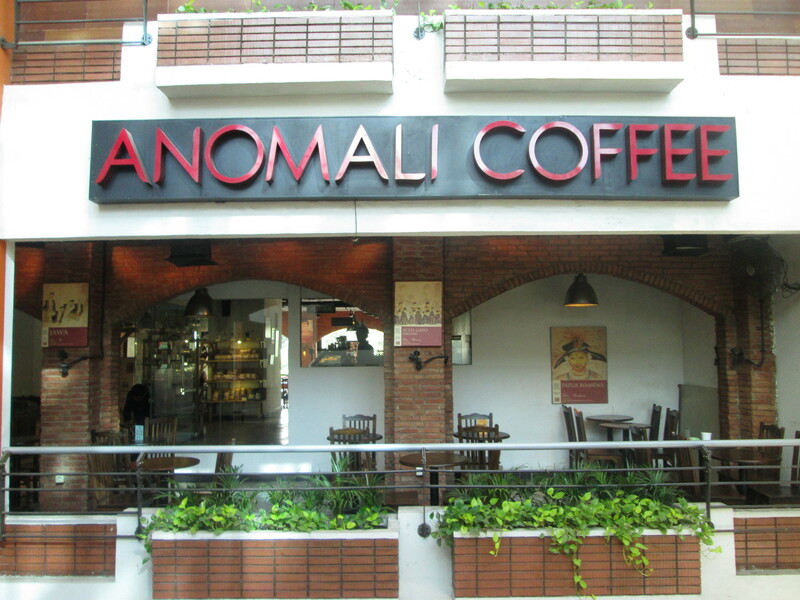 We only managed to try one other coffee shop during our time in Chengdu. 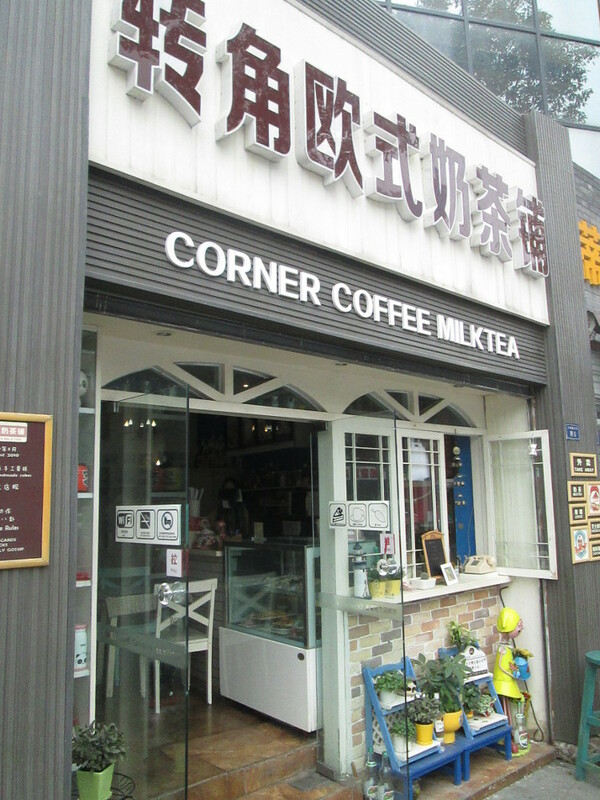 Corner Coffee was well-placed just between Mao’s statue in the centre of town and the People’s Park (about which more in our blog on tea in Chengdu). 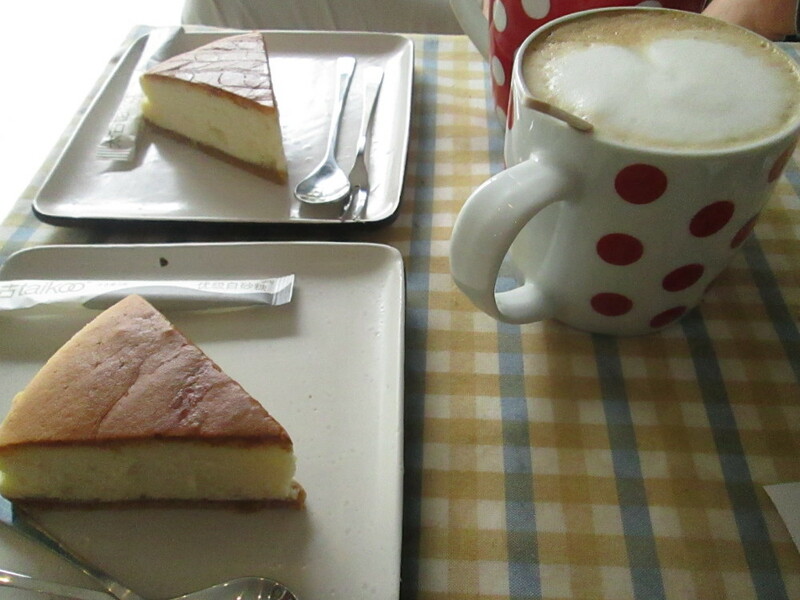 The coffee was not as good as Let’s Grind or The Loft, but it was a decent brew in a nice little place, with tasty cakes to go with it. 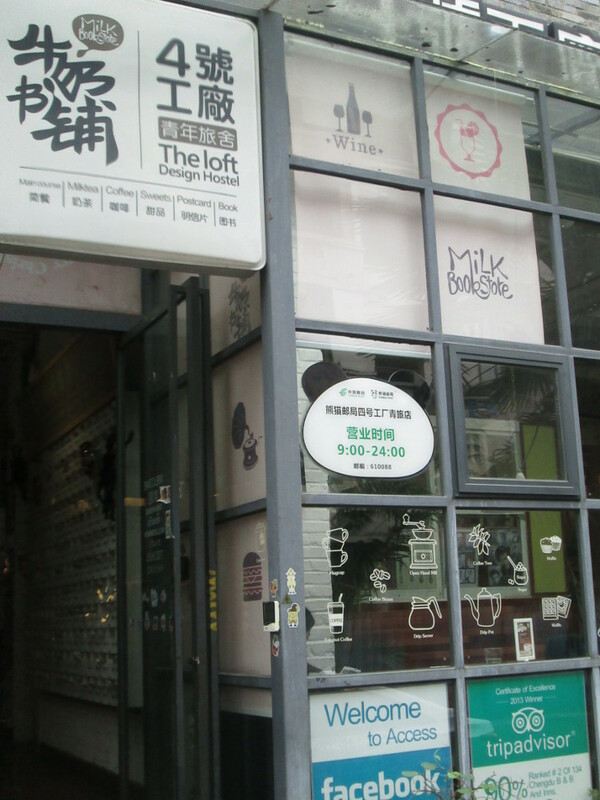 Coffee is blooming in Chengdu in a far bigger way than we’d seen in Xi’an, and there are far more independent coffee shops opening up in small premises. In that way, it’s growing into a coffee scene more like an average big city in the UK. 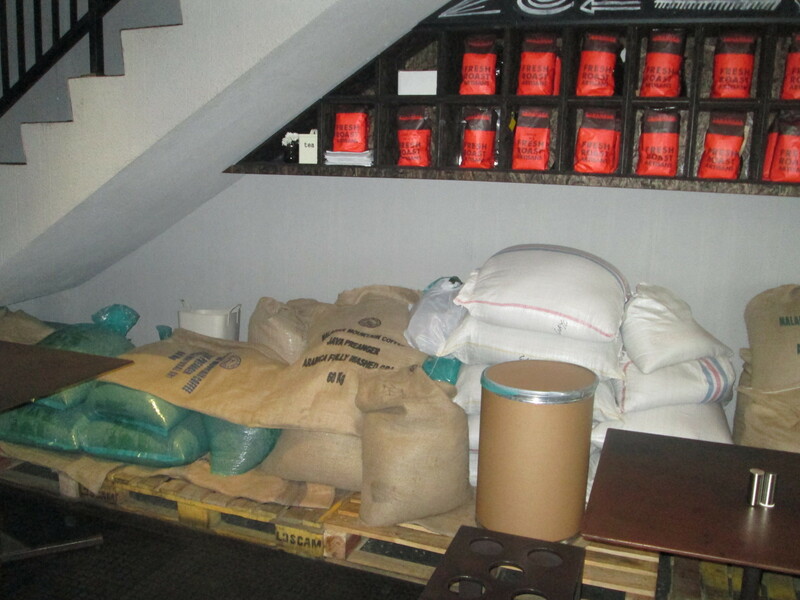 And with local roasters like the guy at Let’s Grind (name to follow, sorry) upping the quality, things are looking great for the future of coffee in the city. What we’d struggle with is the timing of the opening hours. Very few are open early in the morning, and most open long into the evening, so coffee seems to be a sociable drink for afternoon/evening rather than a morning booster. It’s not even a lunch time drink, since it’s rare outside the big chains like Starbucks to find anything savoury to have with your coffee in Chinese coffee shops. Cakes you may find, but even that not always. 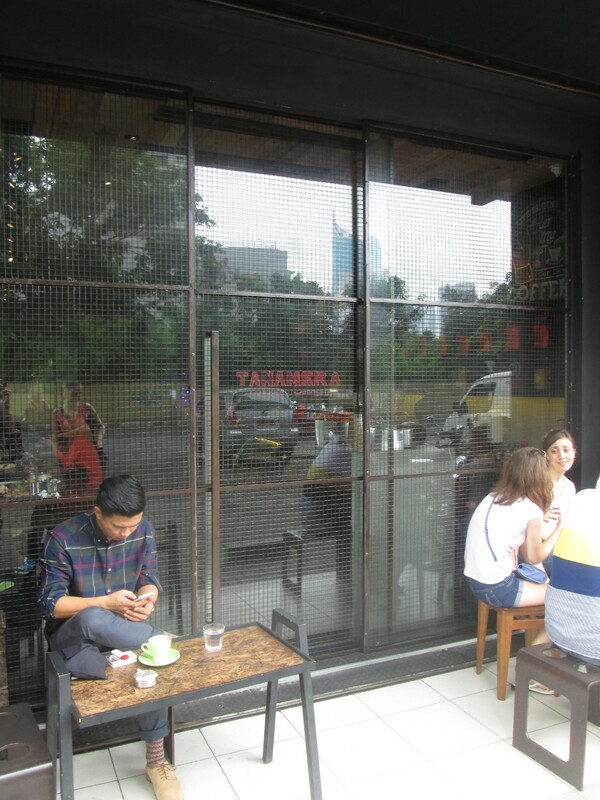 Of course on this trip we haven’t been to Beijing or Shanghai, so it’s quite possible the coffee scene is developing differently and more quickly there, but Chengdu felt like it was a long way ahead of Xi’an.